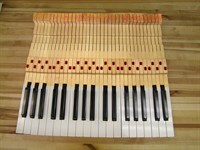 Our latest creation! 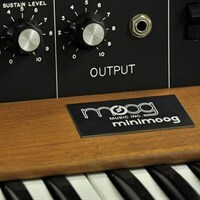 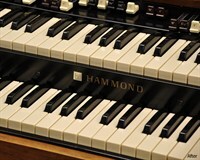 The retro chop cabinet makes the live Hammond experience a breeze!!! 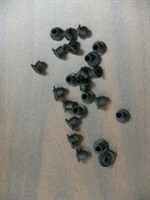 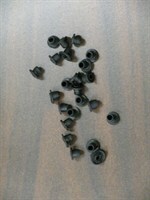 For more details see our chop page under in the new stuff area! 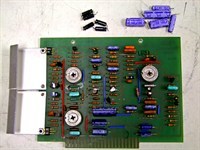 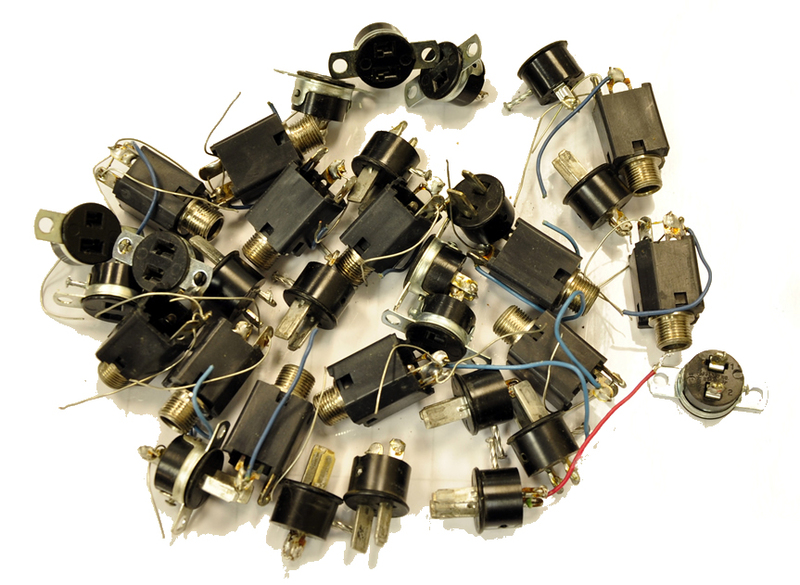 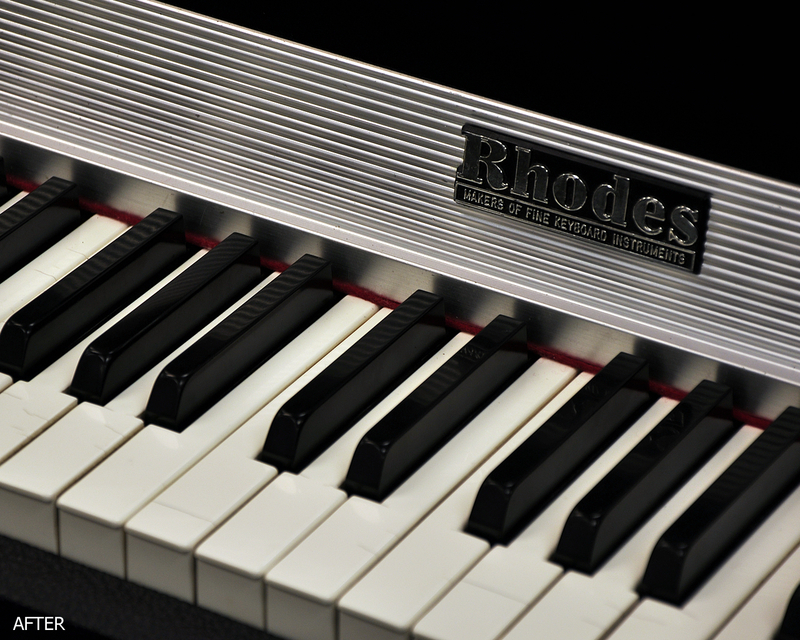 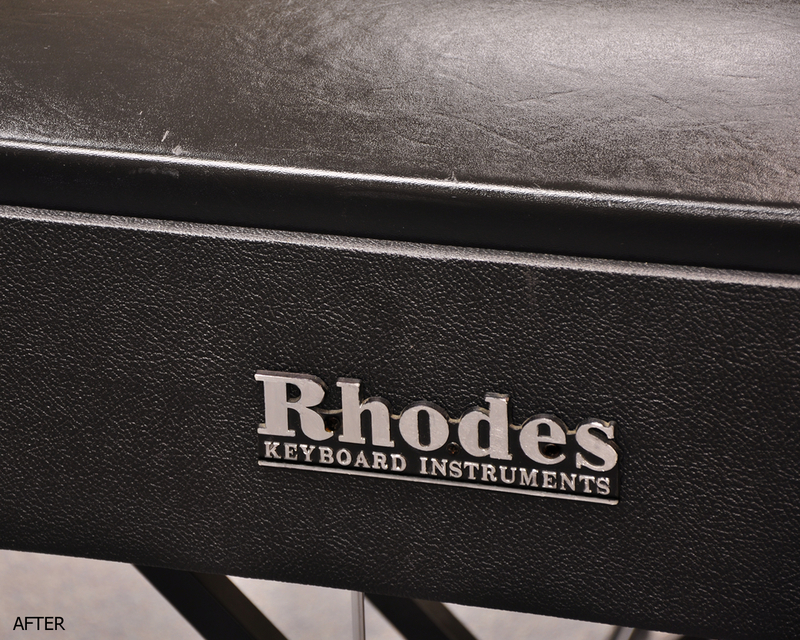 A collection of some Rhodes restorations, and photos of what we do here to make Rhodes pianos shine again! 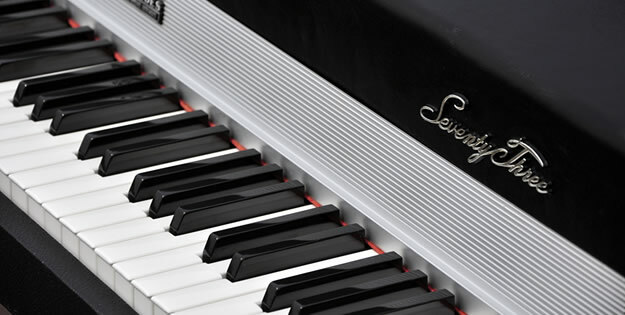 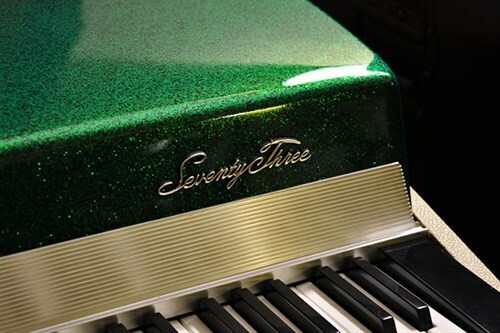 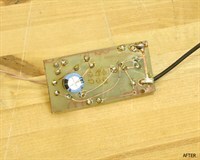 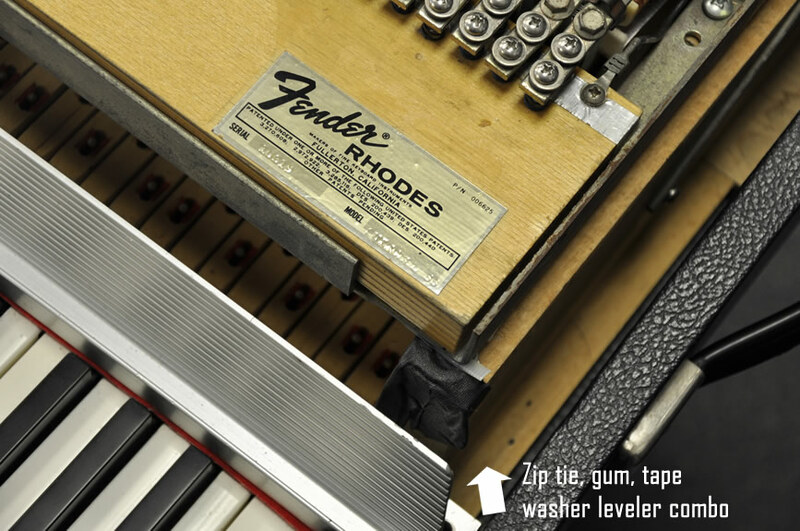 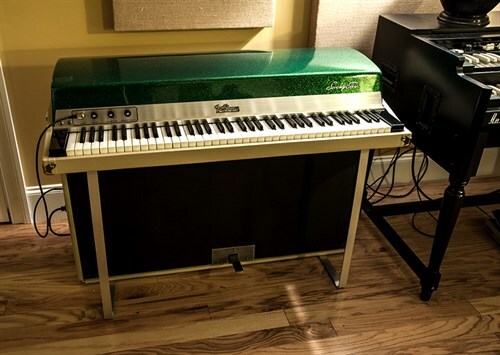 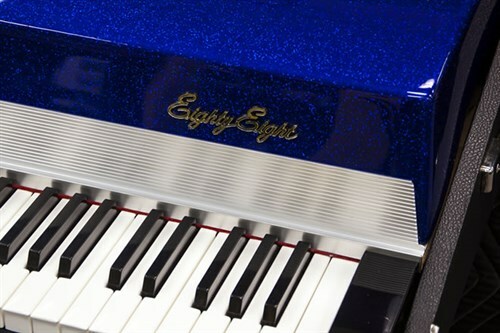 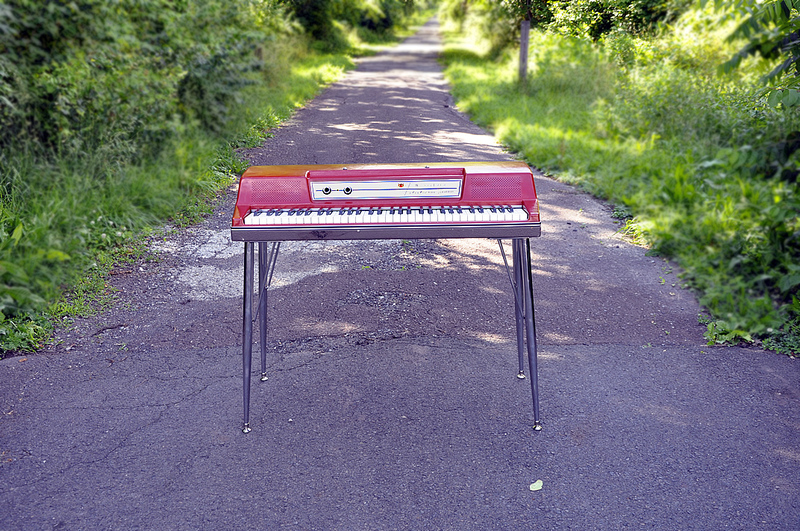 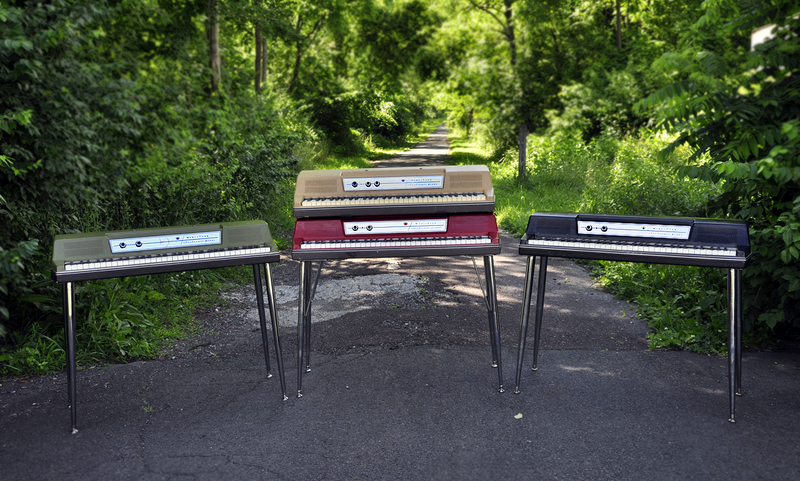 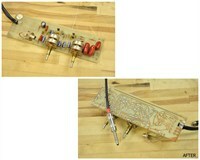 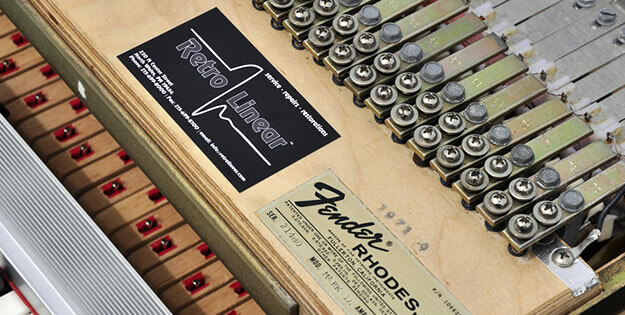 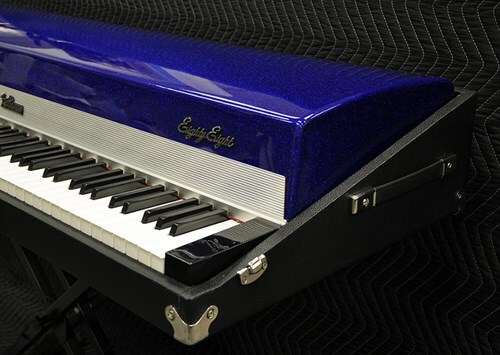 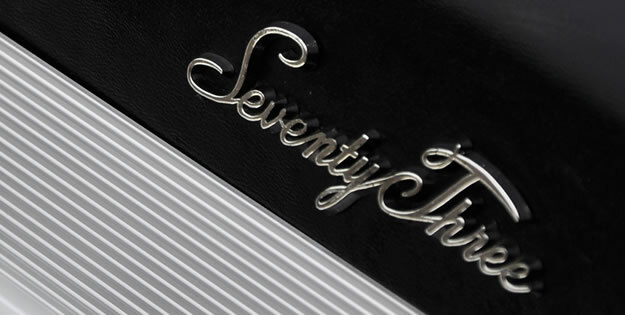 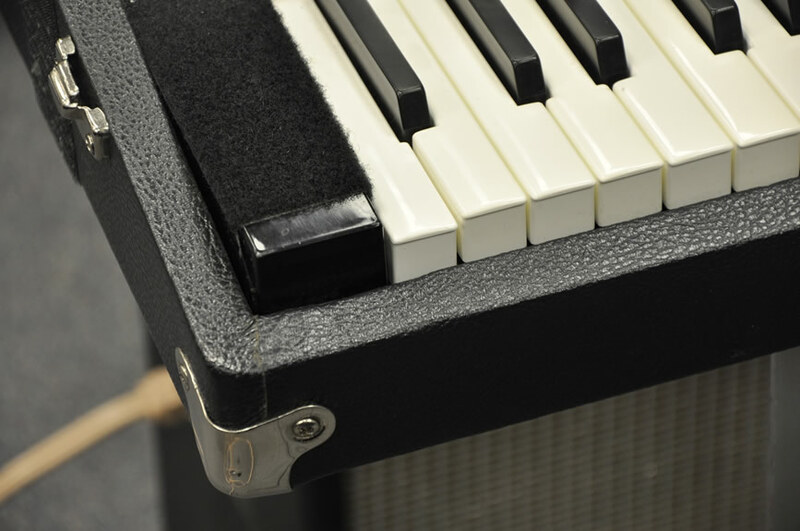 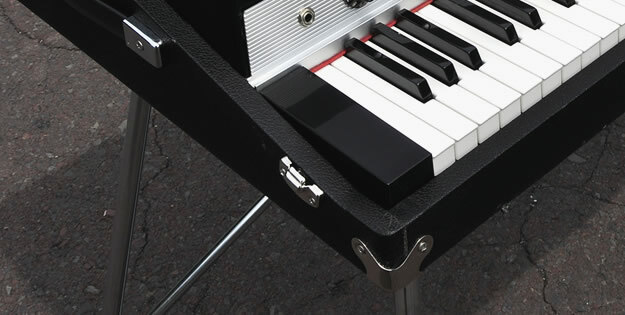 Golden era Fender Rhodes semi-restoration. 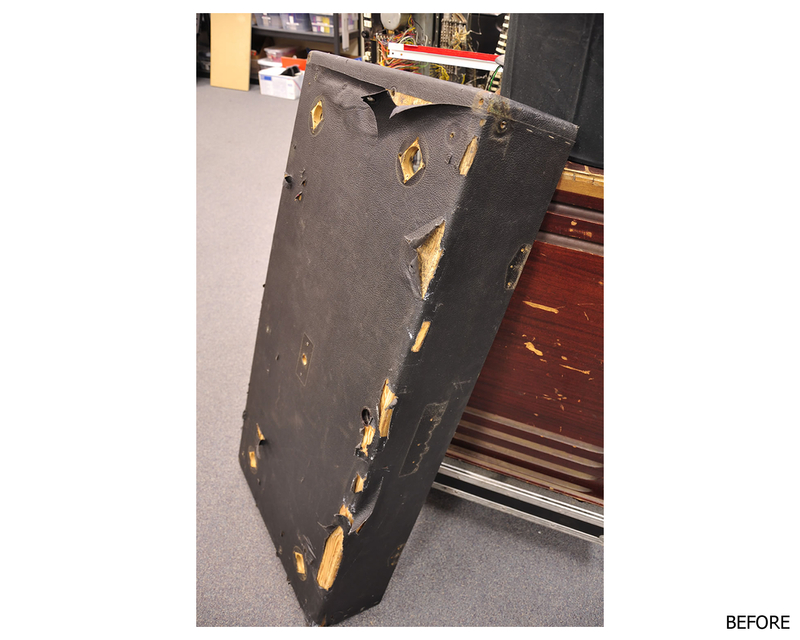 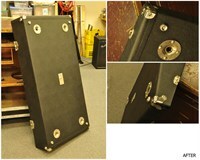 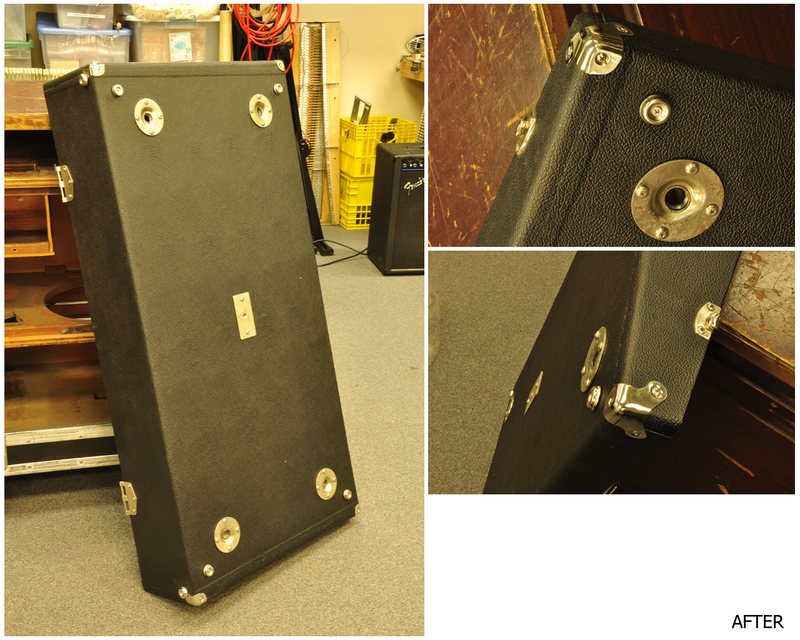 Original Tolex! 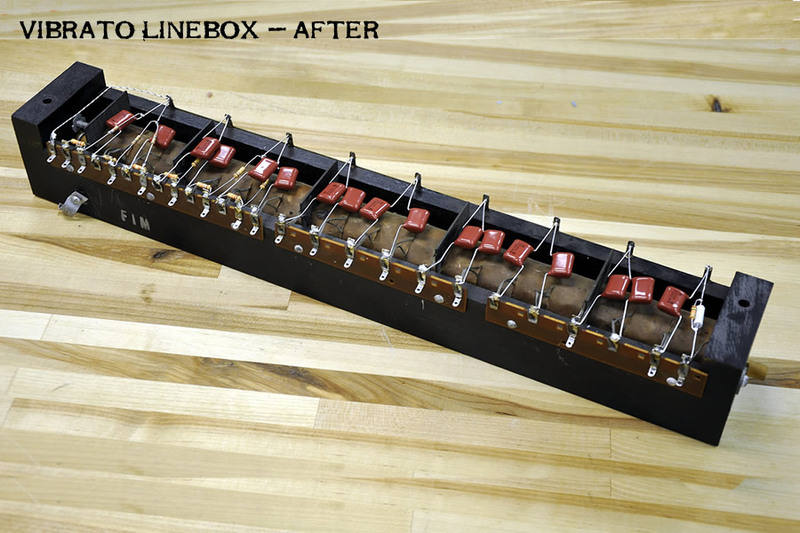 Voicing, tuning, action and general tweaking and fixes were done, as you can see the end result is quite nice! 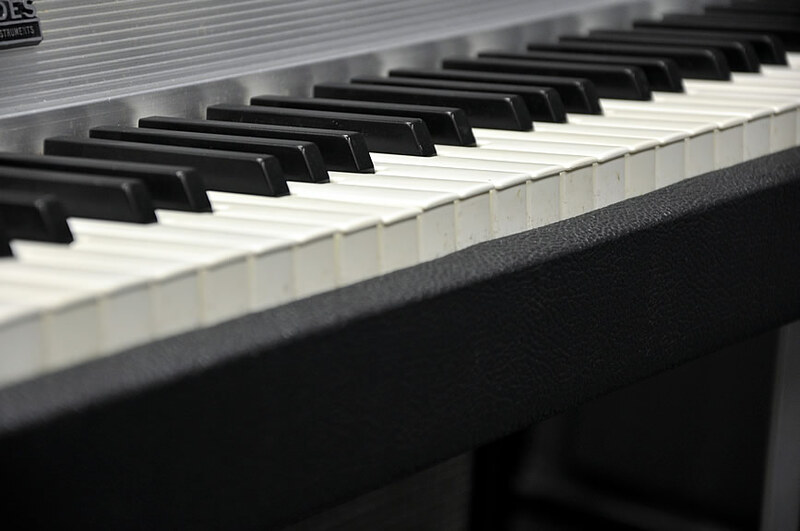 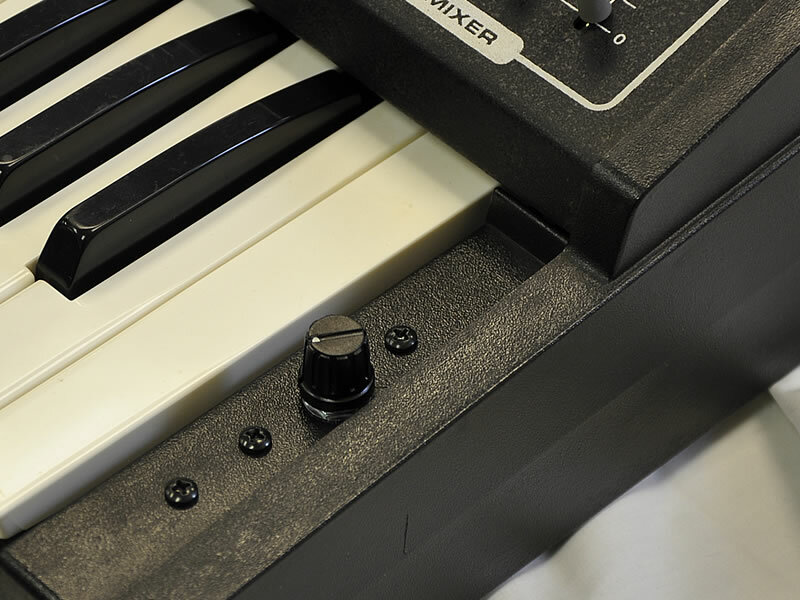 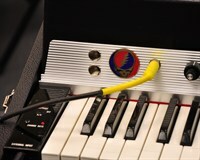 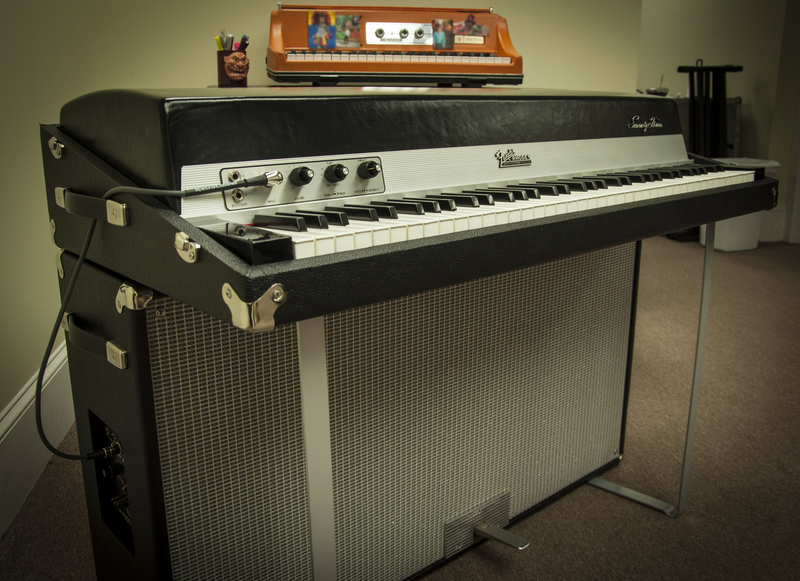 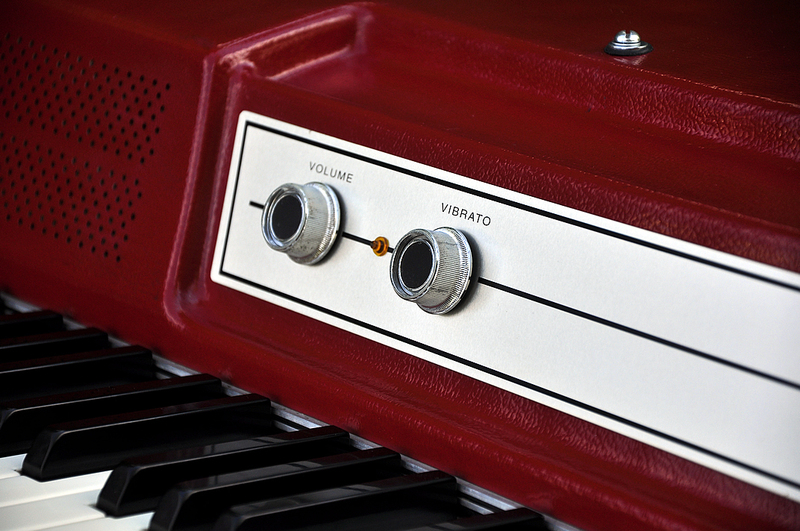 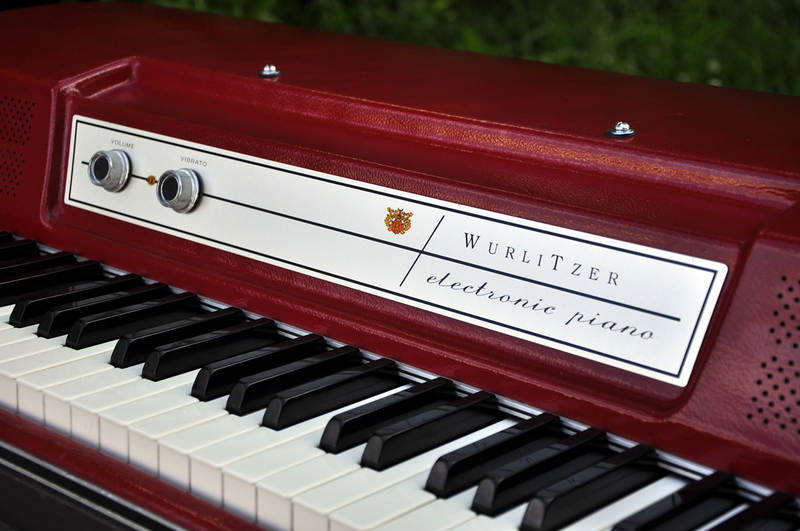 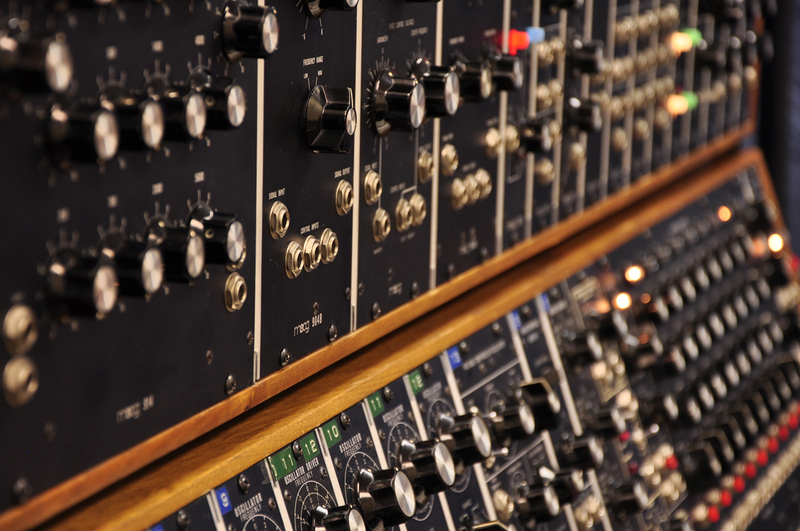 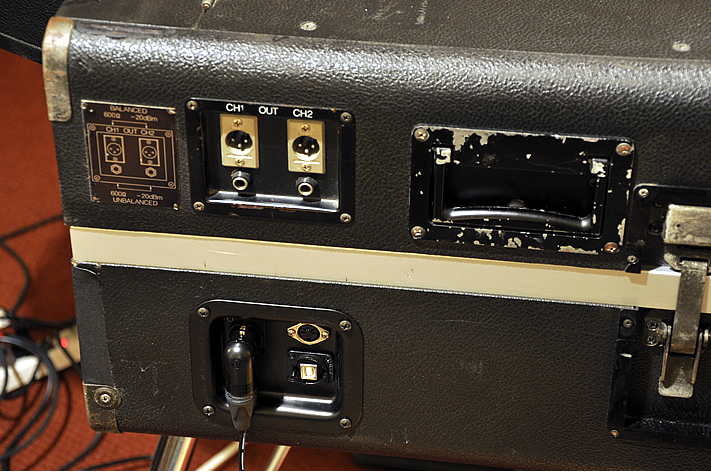 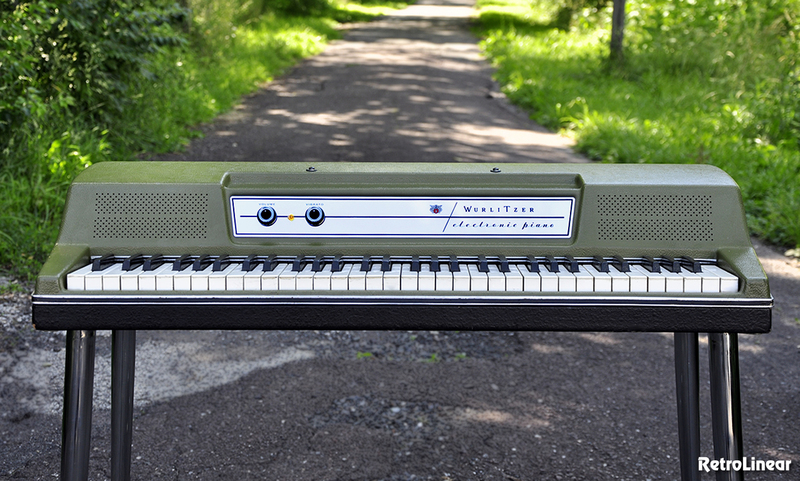 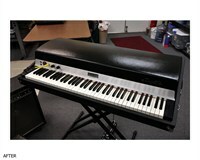 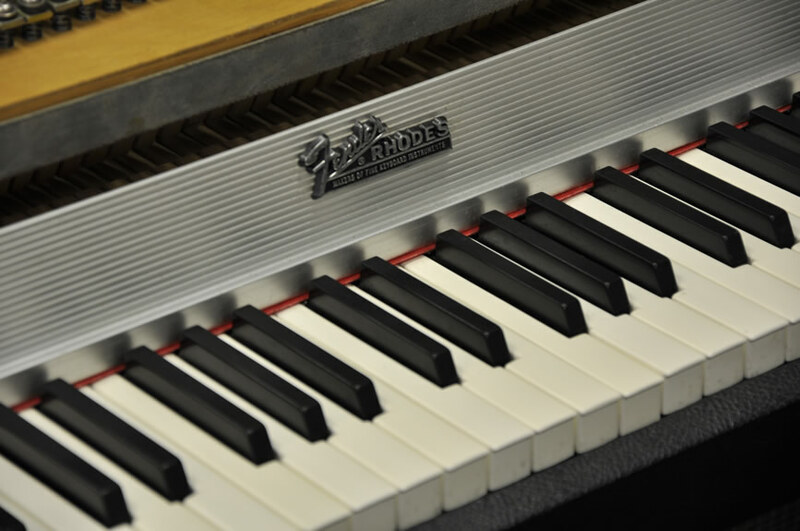 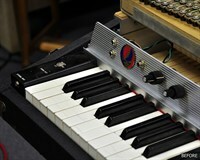 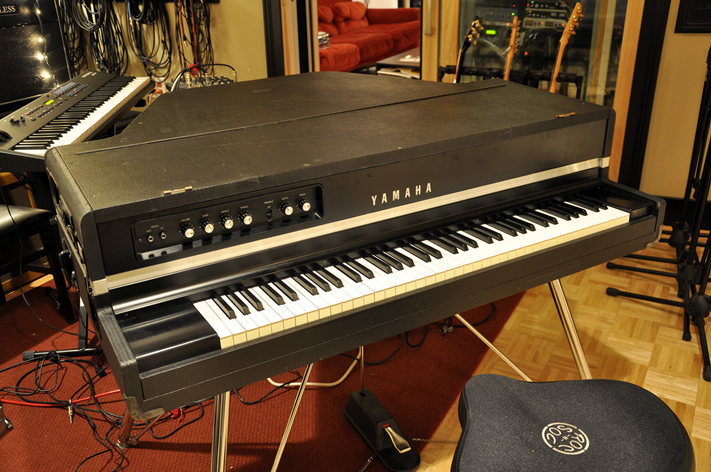 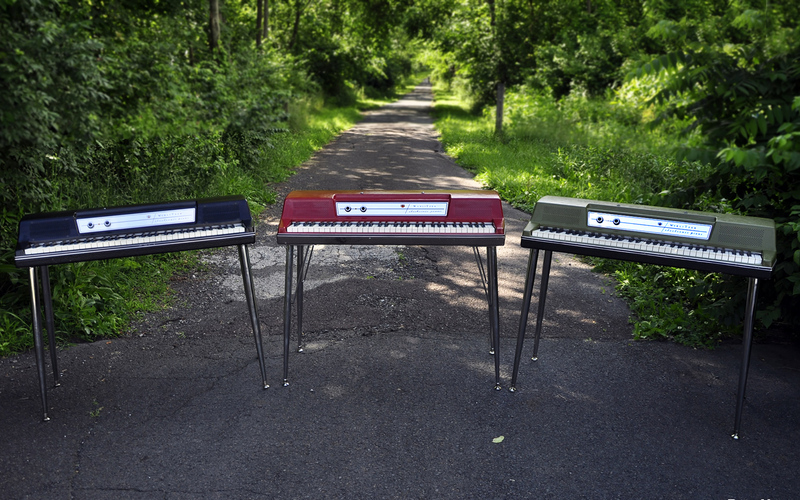 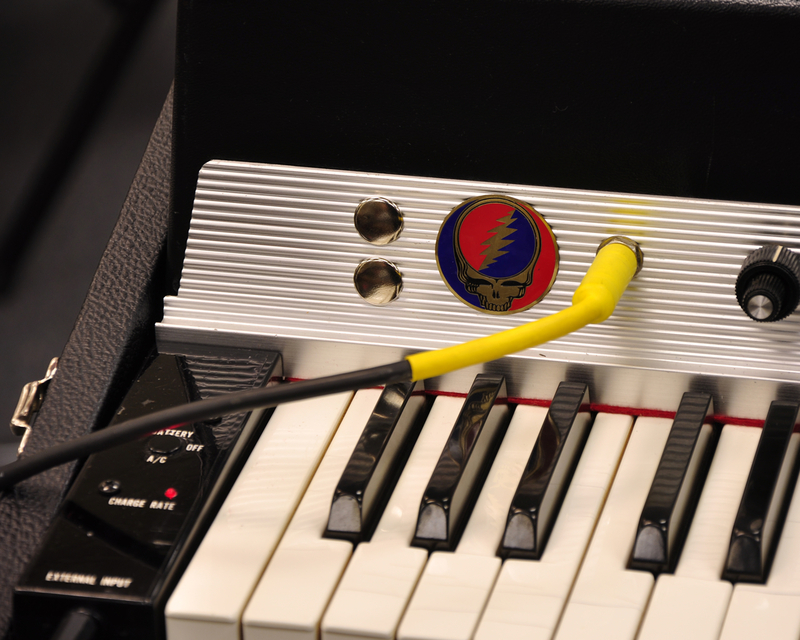 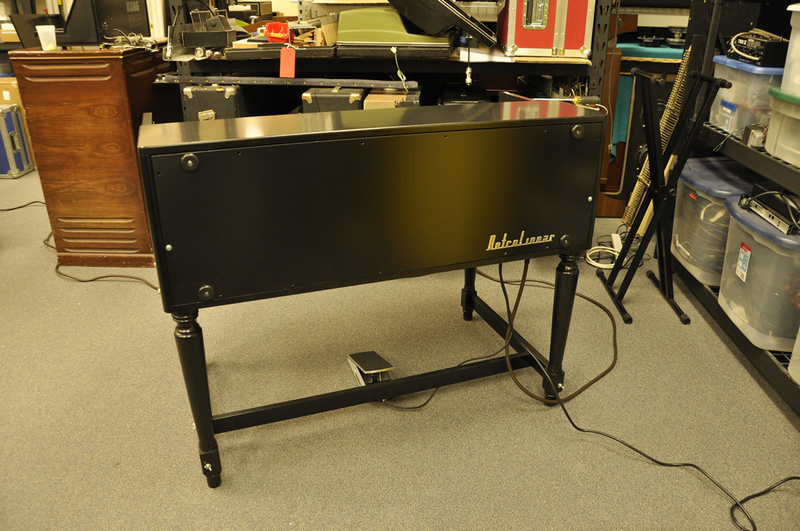 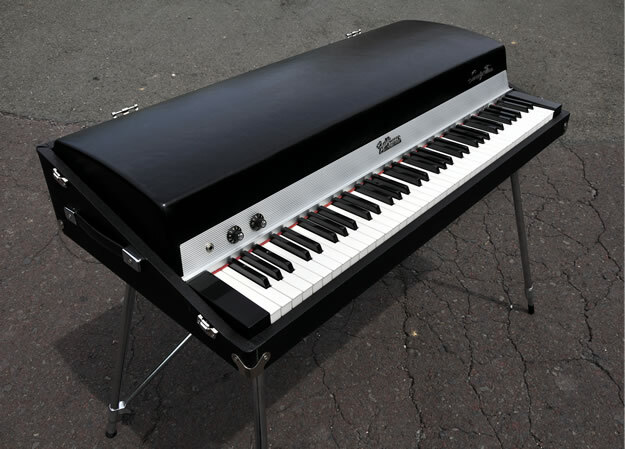 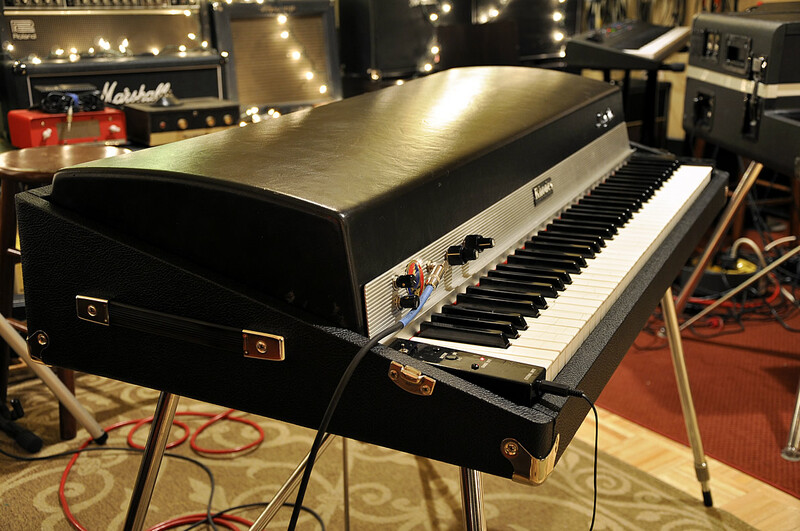 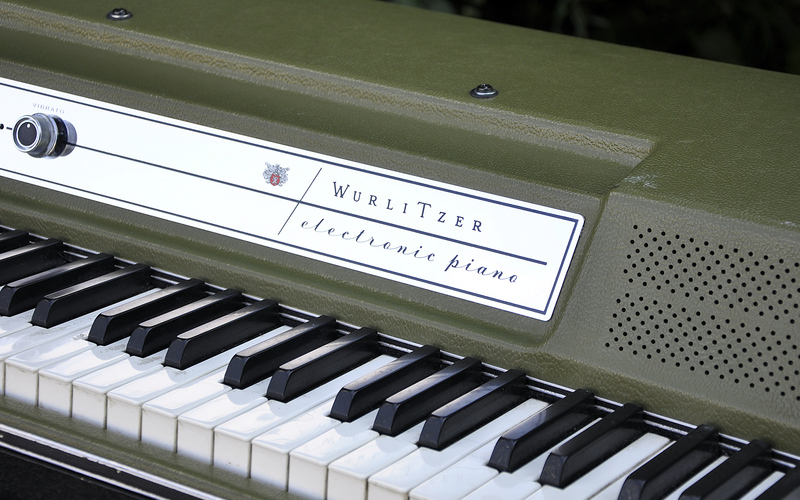 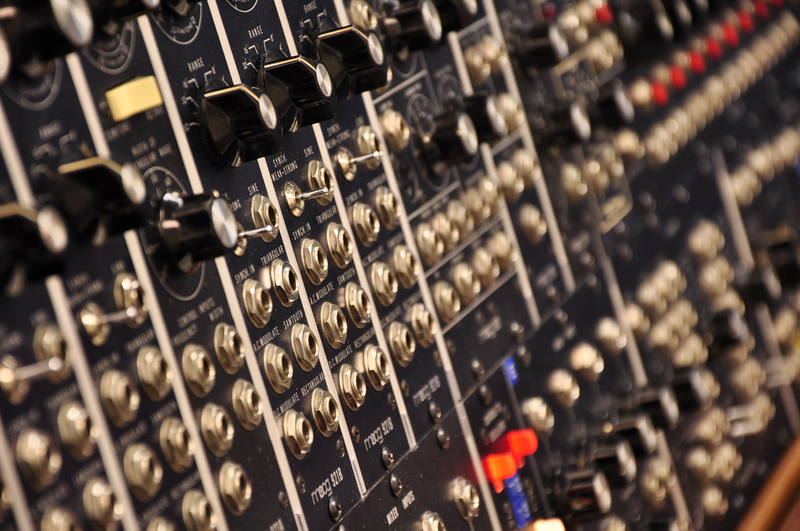 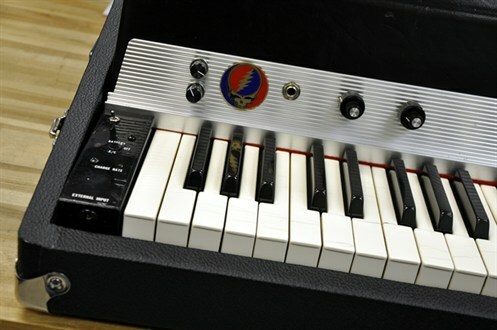 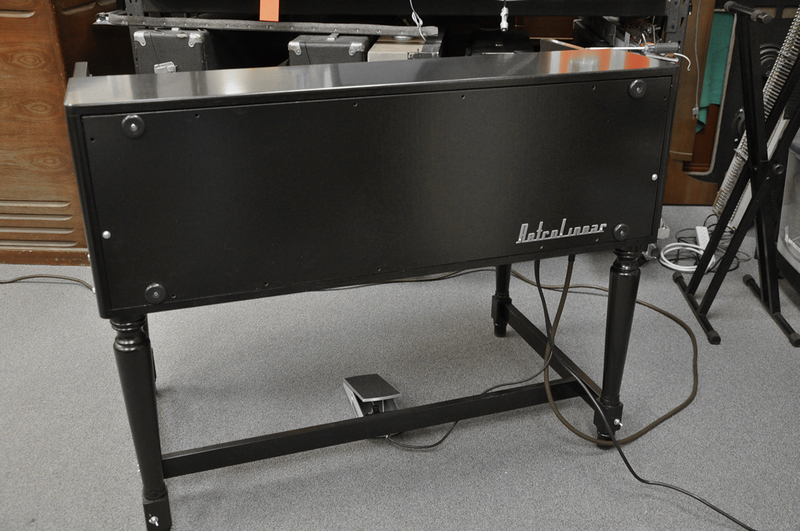 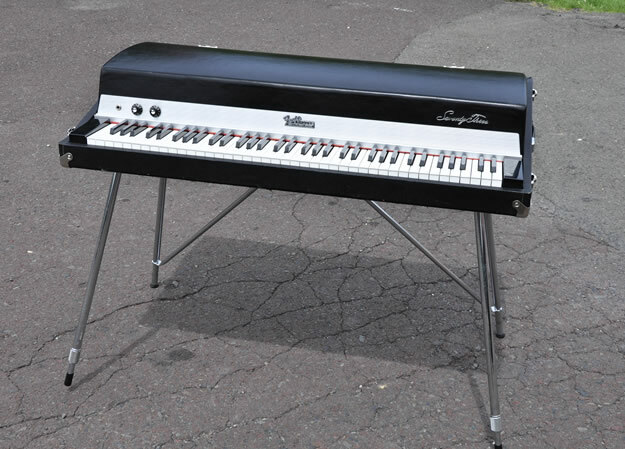 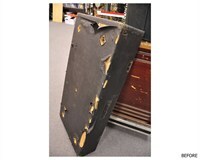 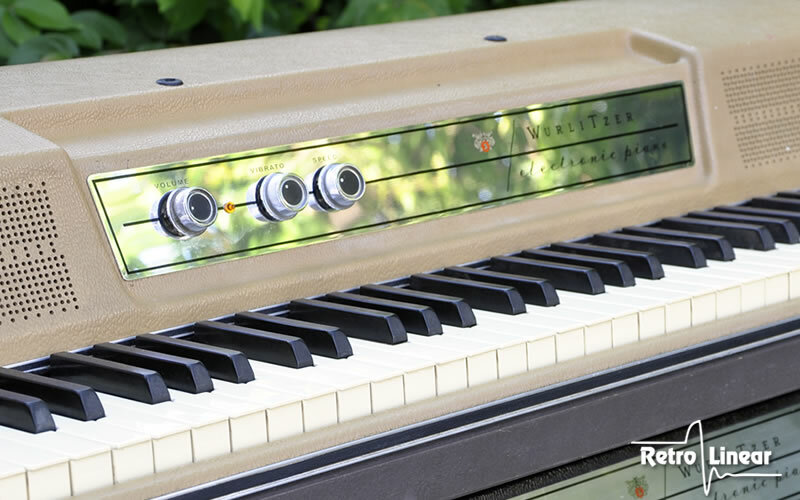 Rob Barocco (Dark Star Orchestra) brought us his 1978 Fender rhodes for restoration. This specific piano was used by Bret Mydland of the Grateful dead, was pretty cool to have a piece of Dead history in the shop!. 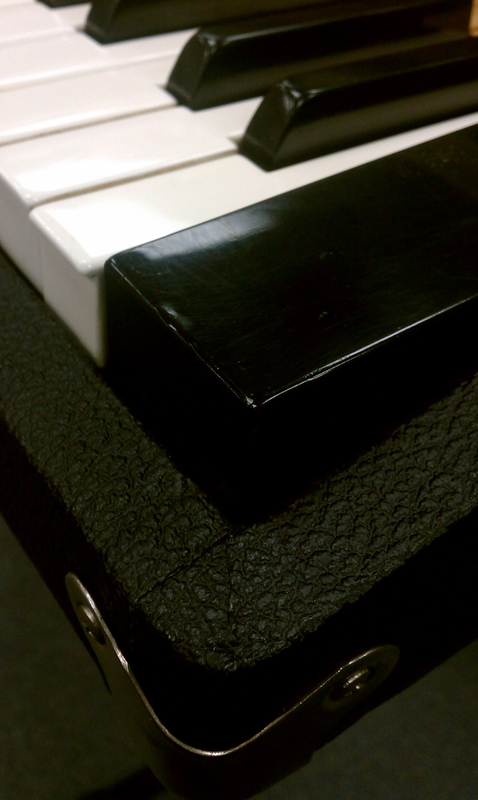 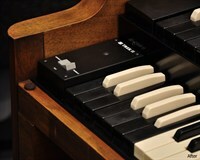 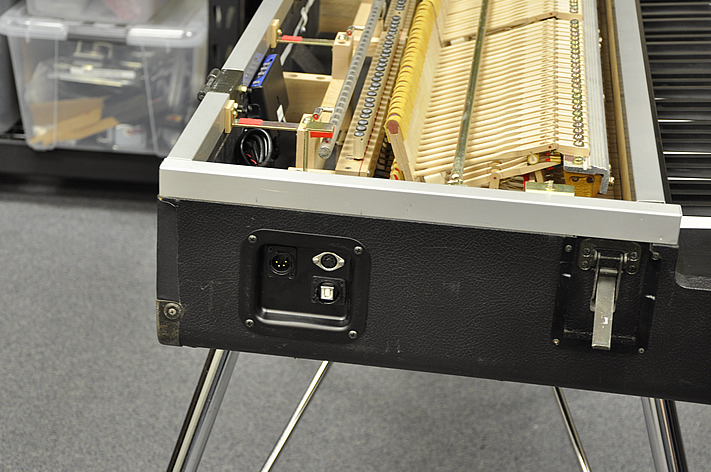 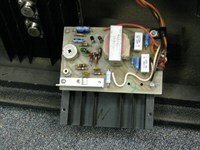 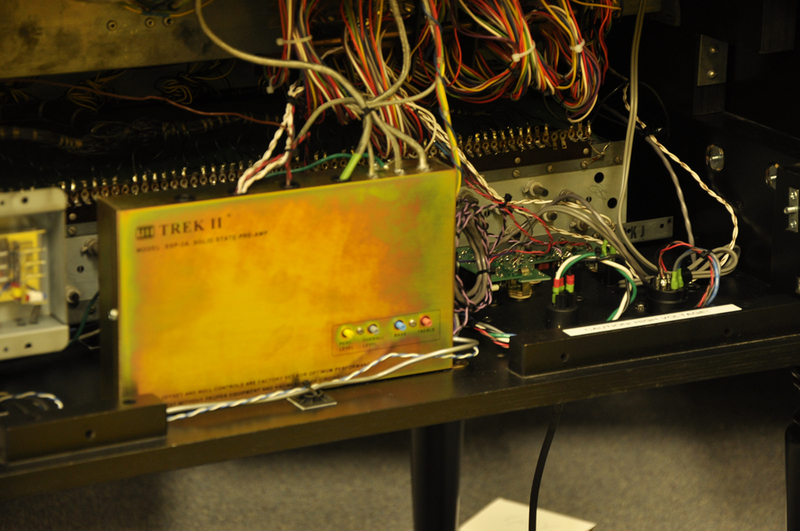 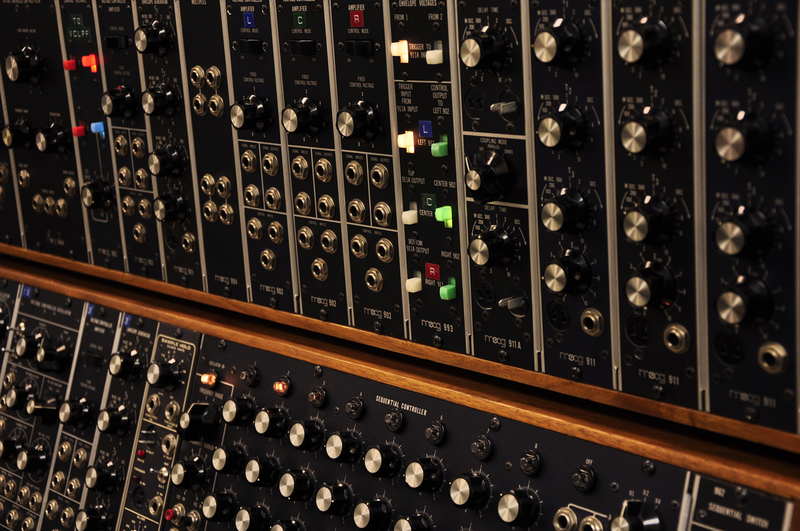 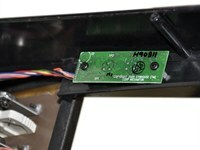 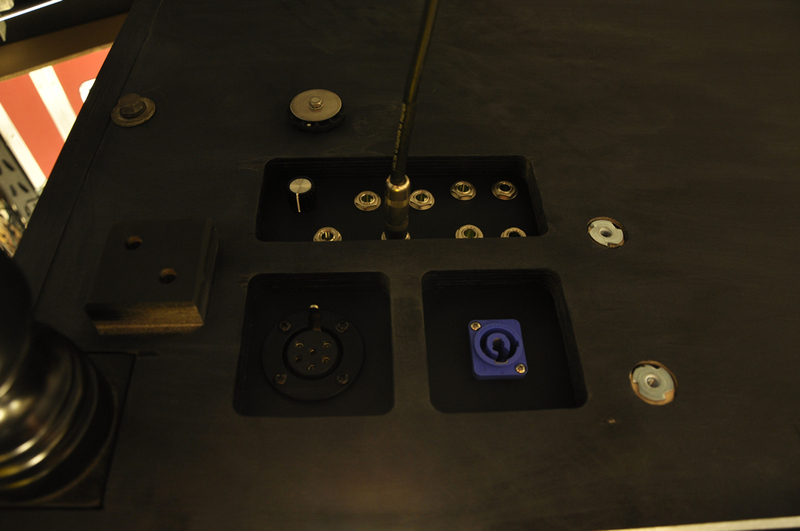 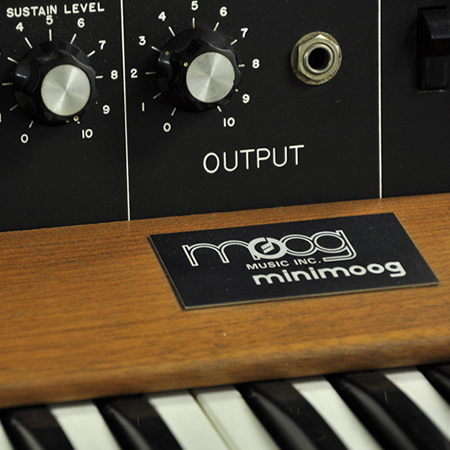 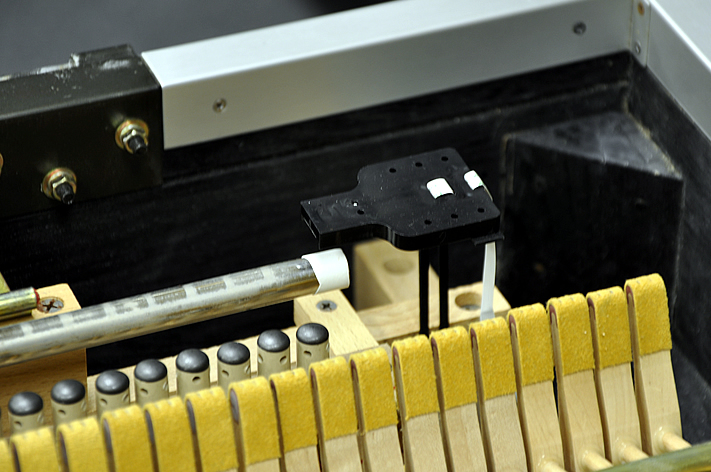 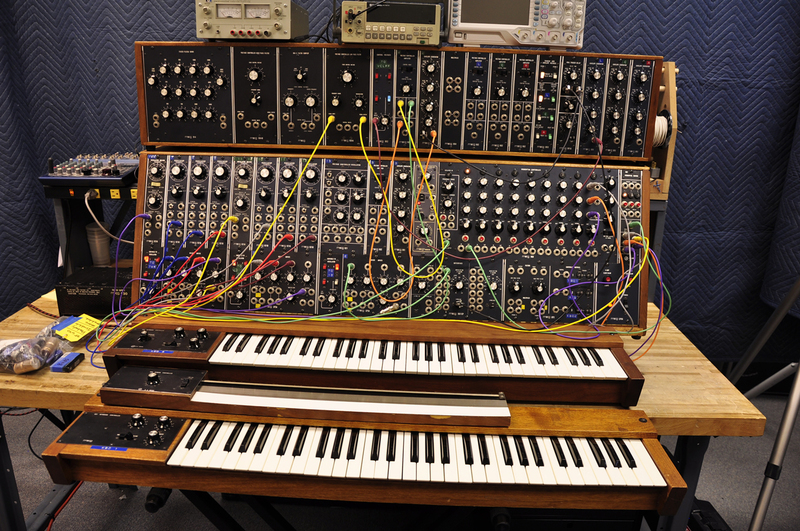 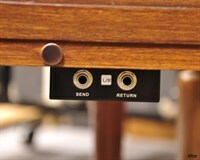 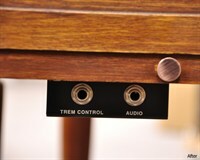 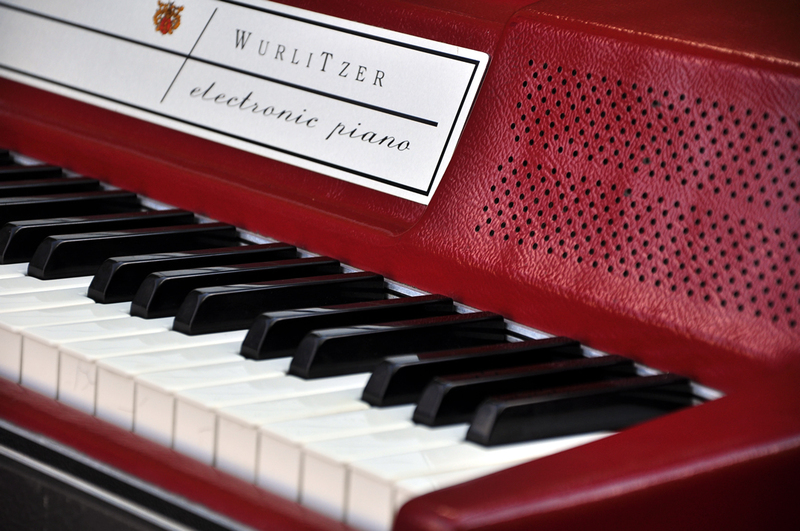 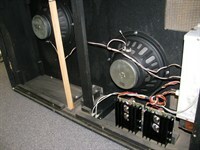 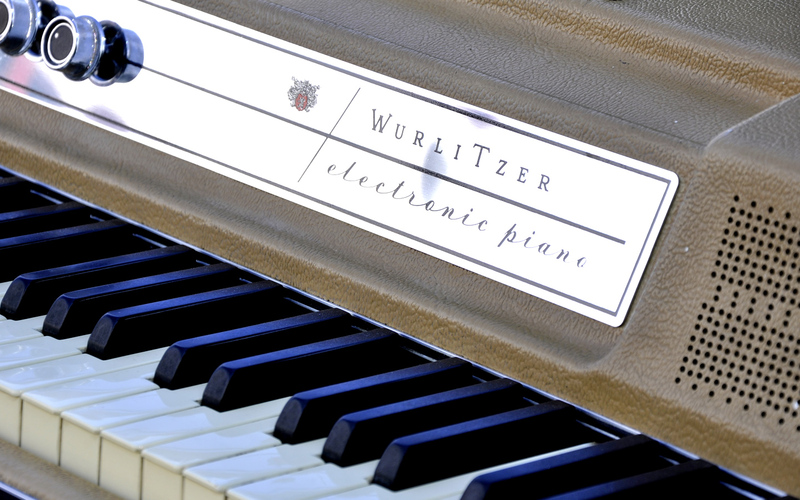 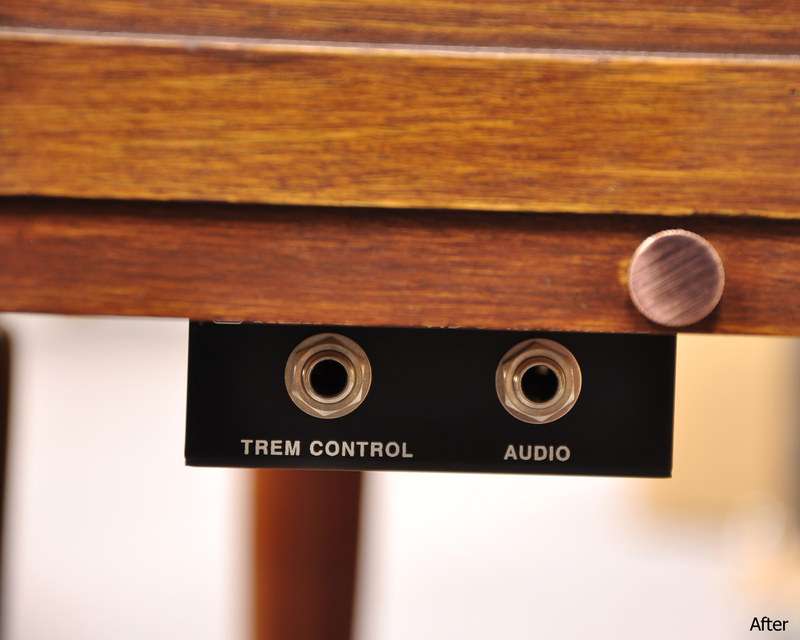 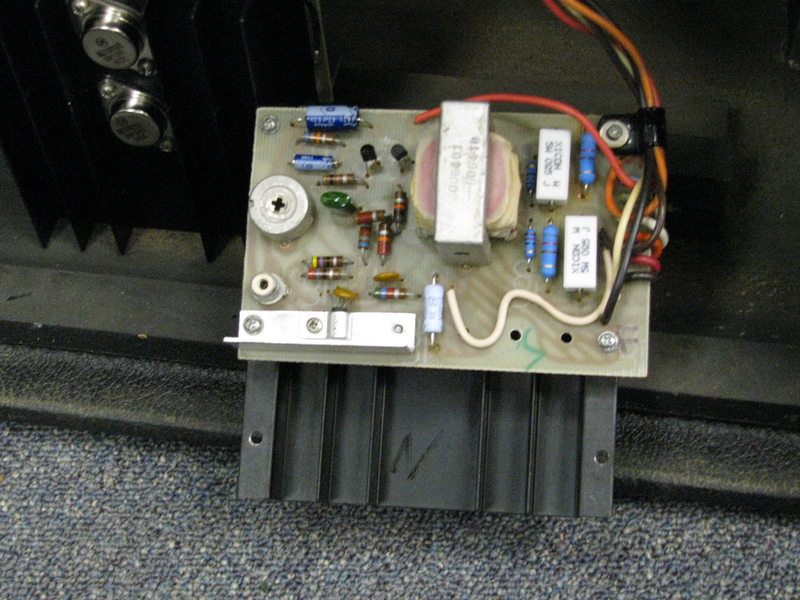 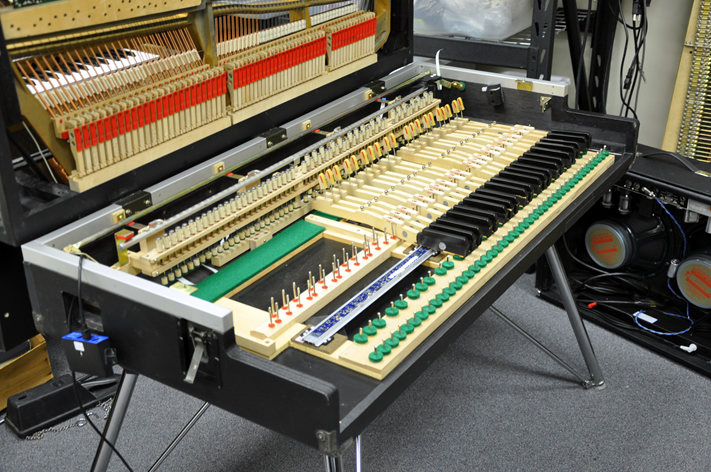 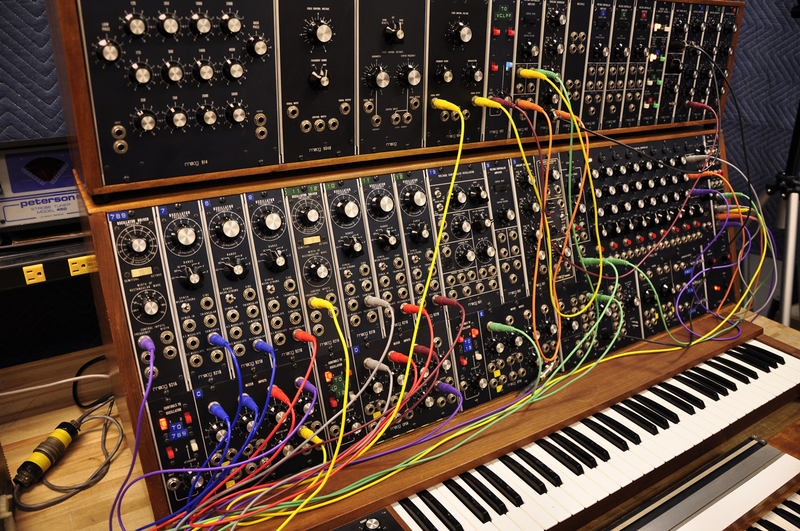 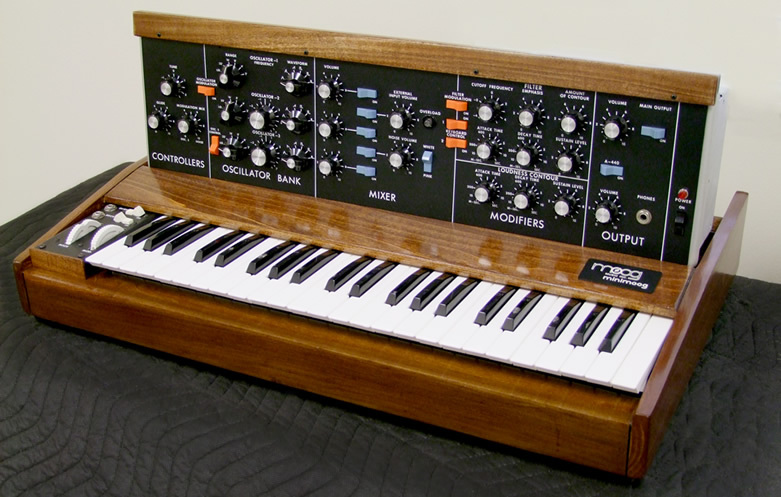 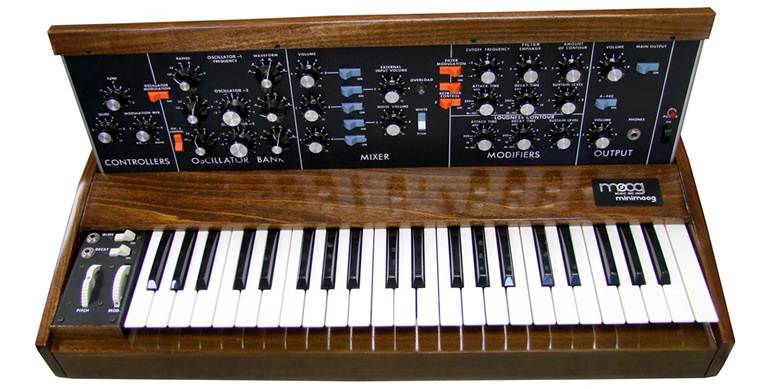 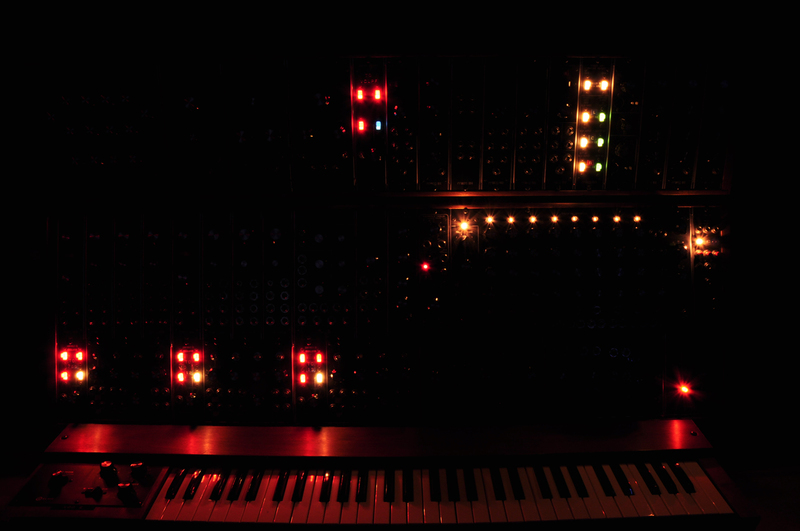 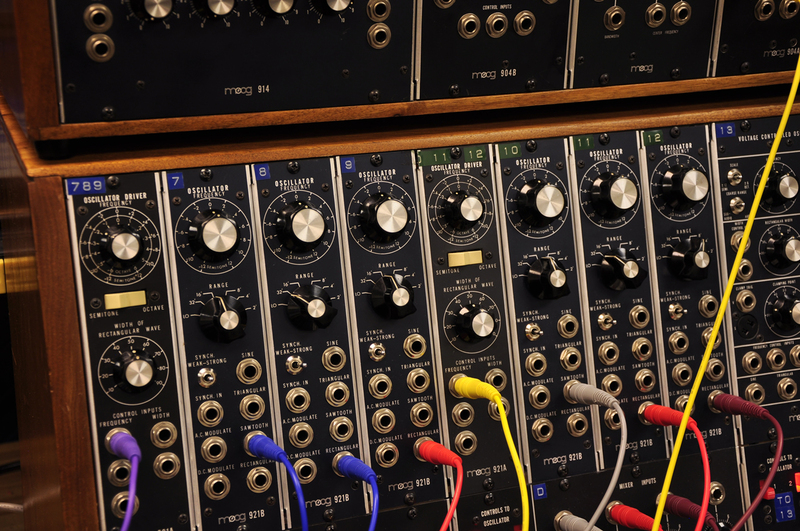 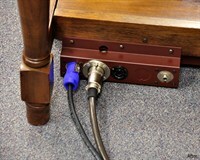 The piano has the infamous "Dyno-my-piano" mods done to the action & preamp. 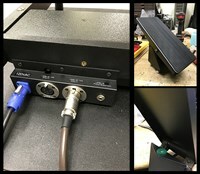 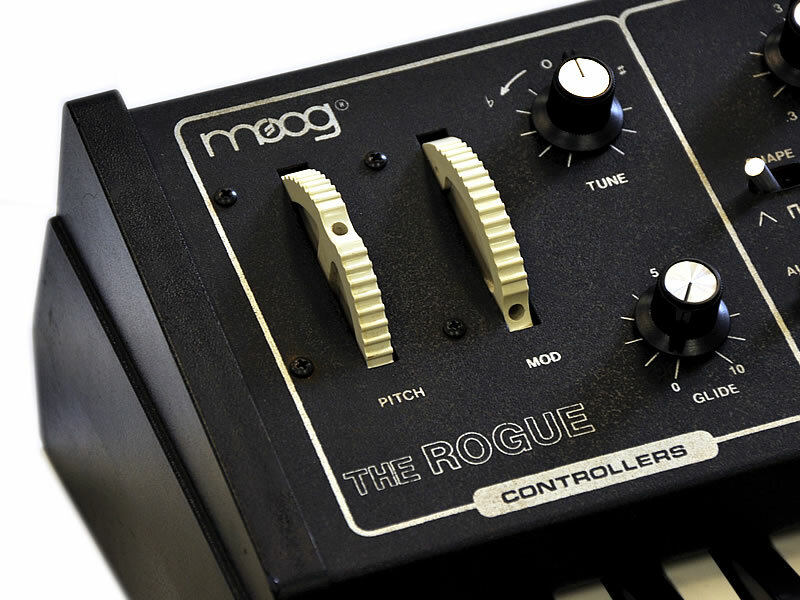 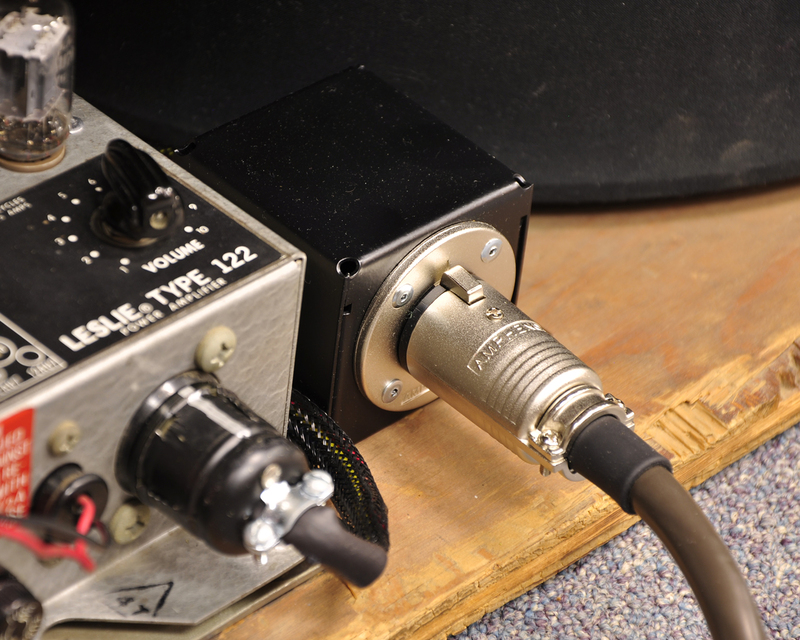 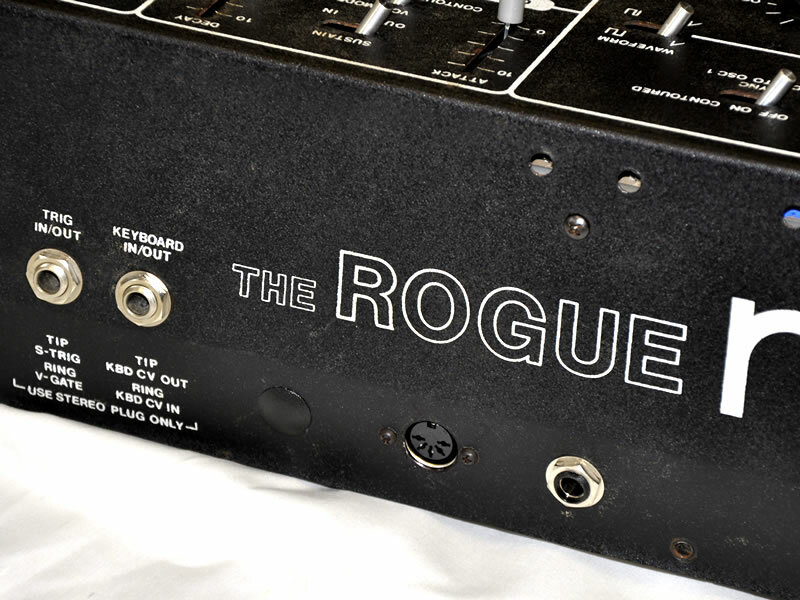 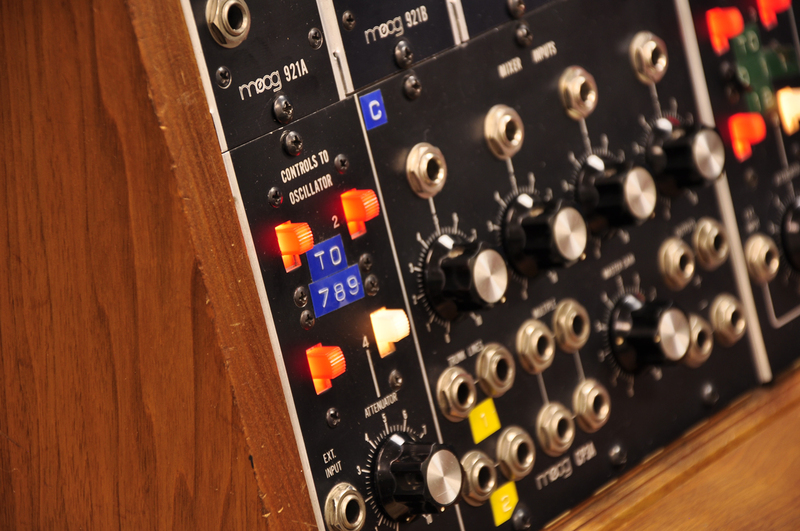 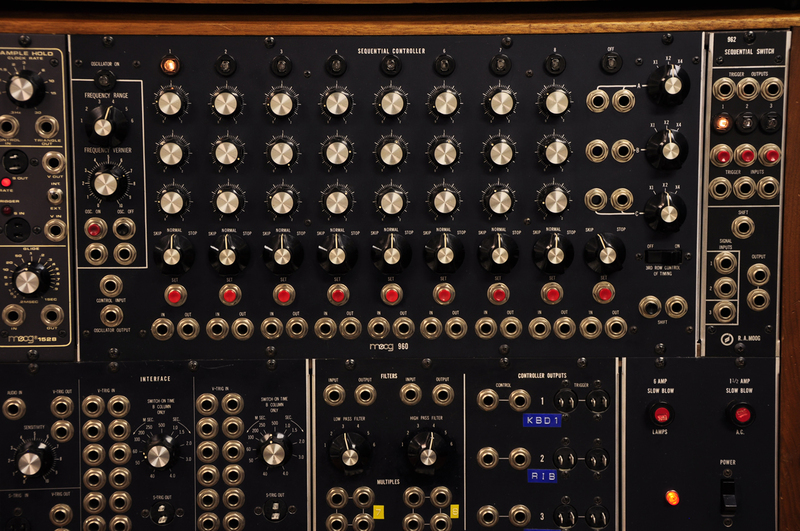 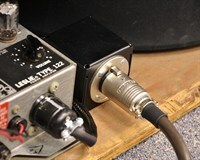 We've restored the dyno preamp and also added a mod which switches between the dyno mode and the stock rhodes volume/bass boost controls so Rob has the best of both worlds in 1 instruments. 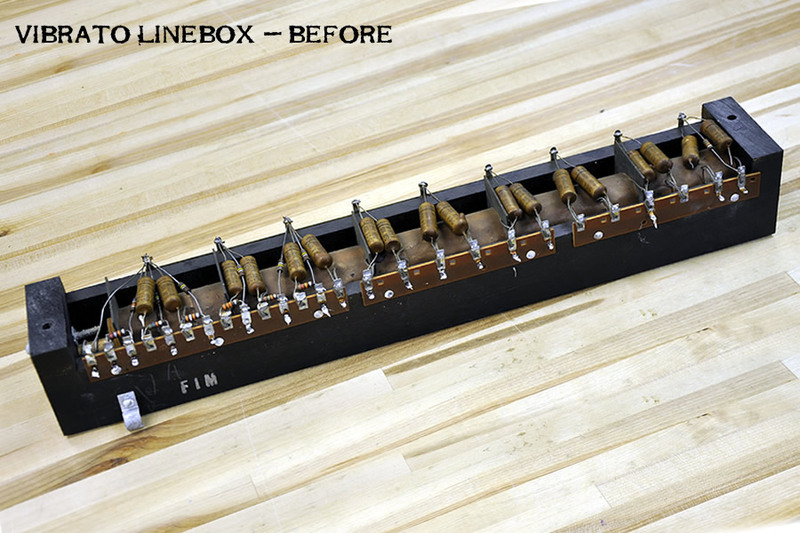 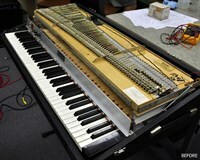 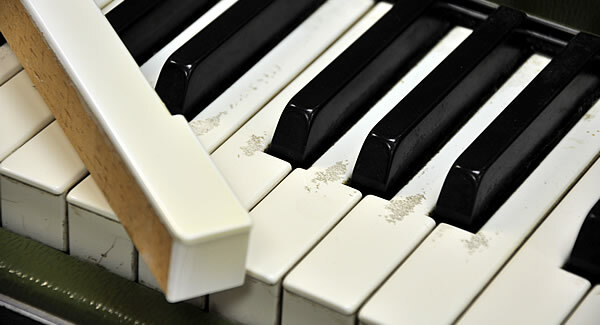 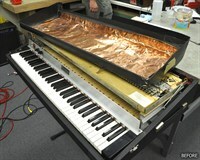 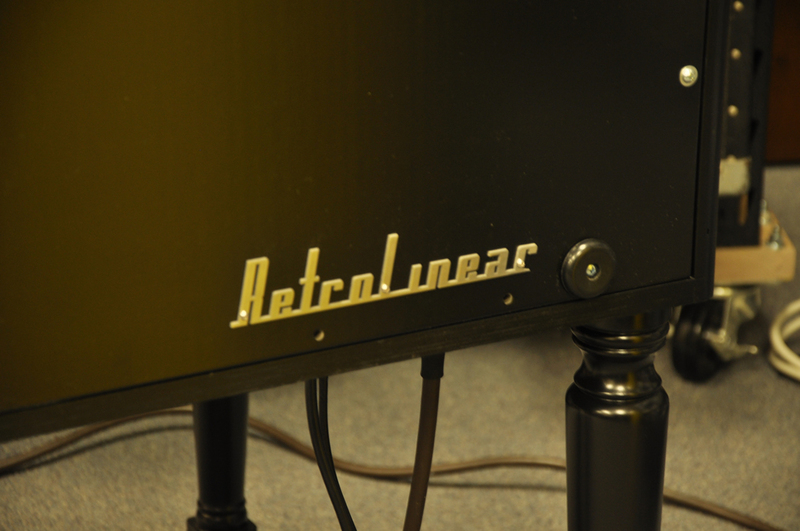 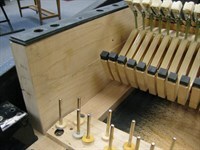 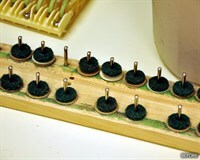 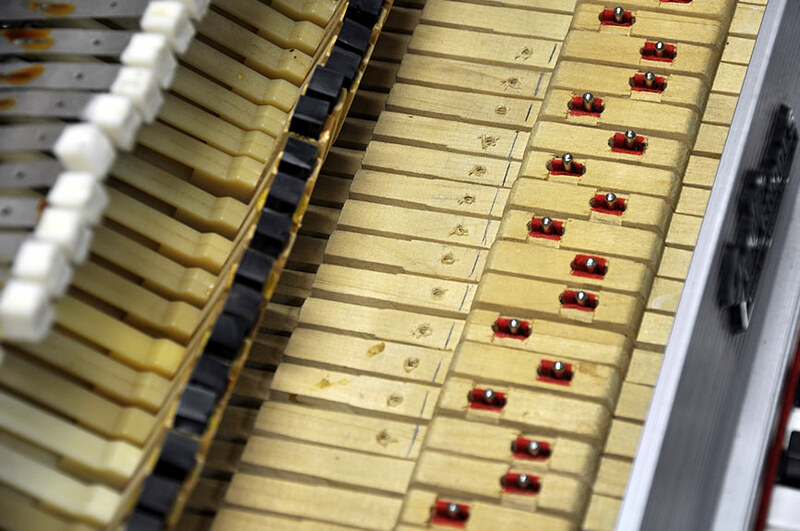 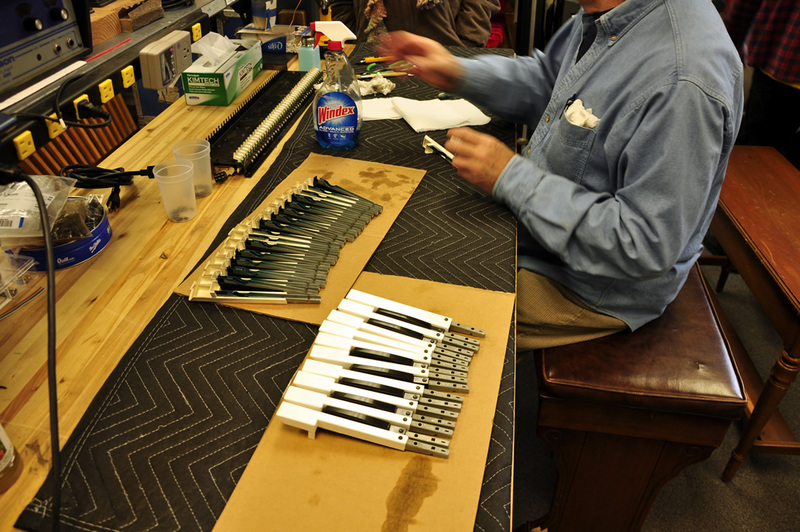 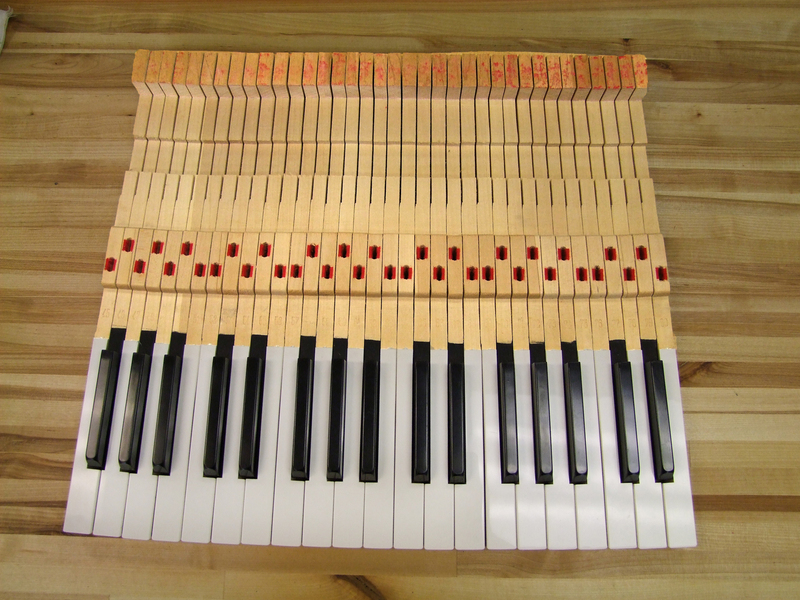 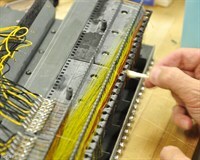 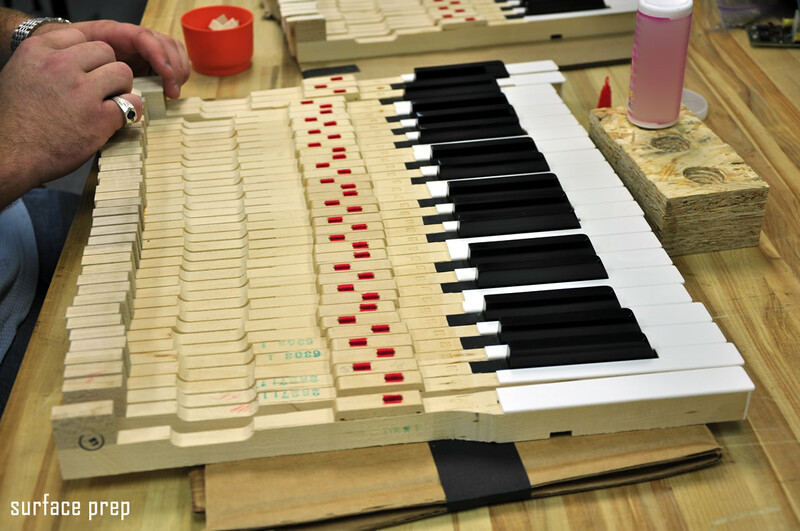 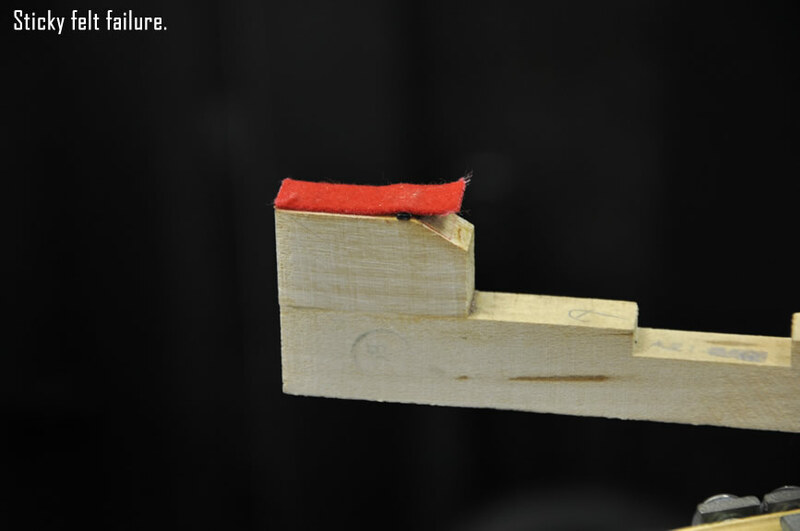 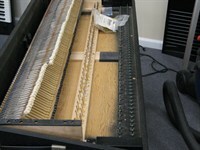 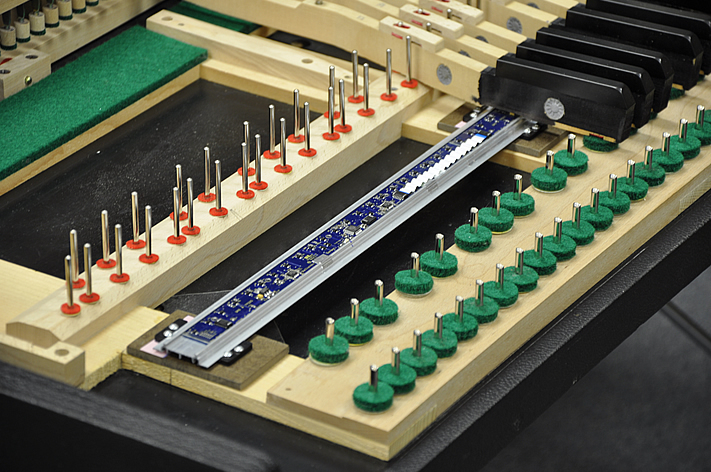 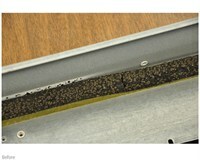 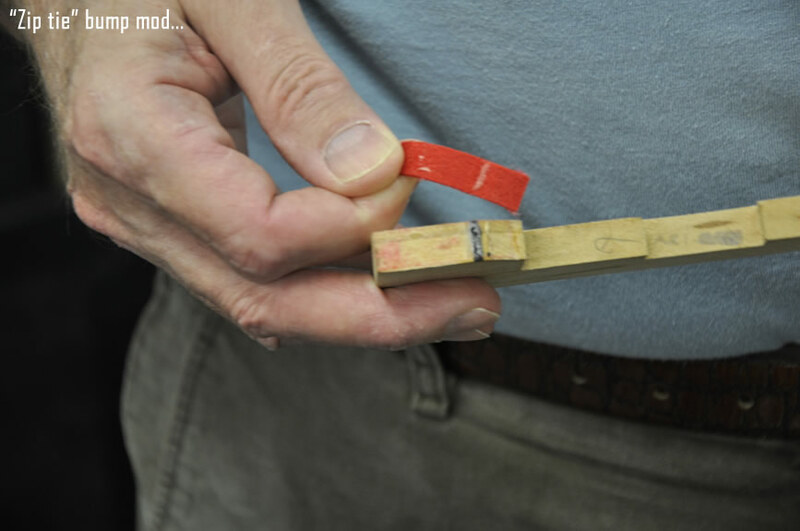 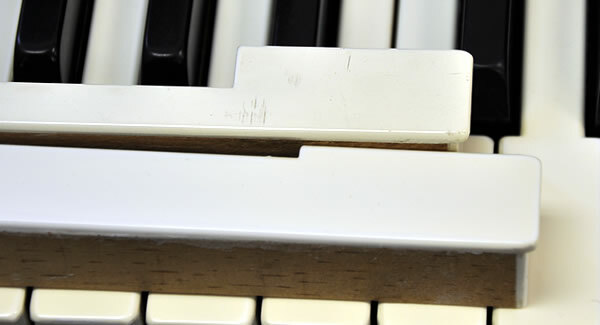 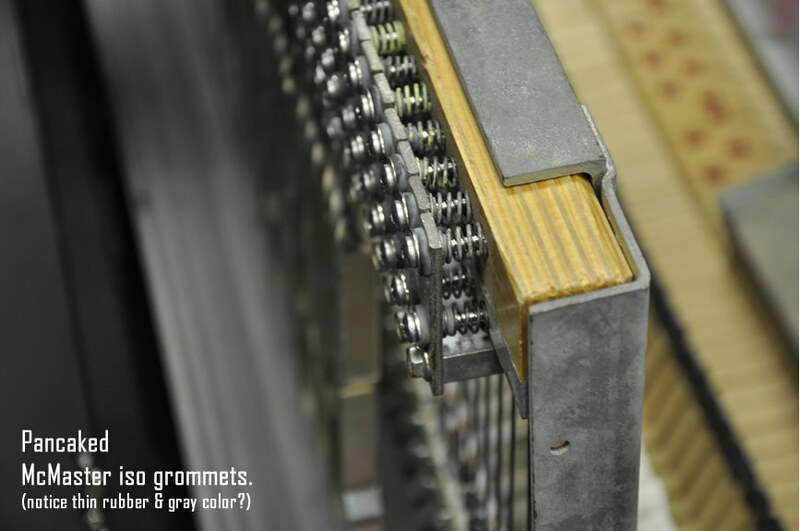 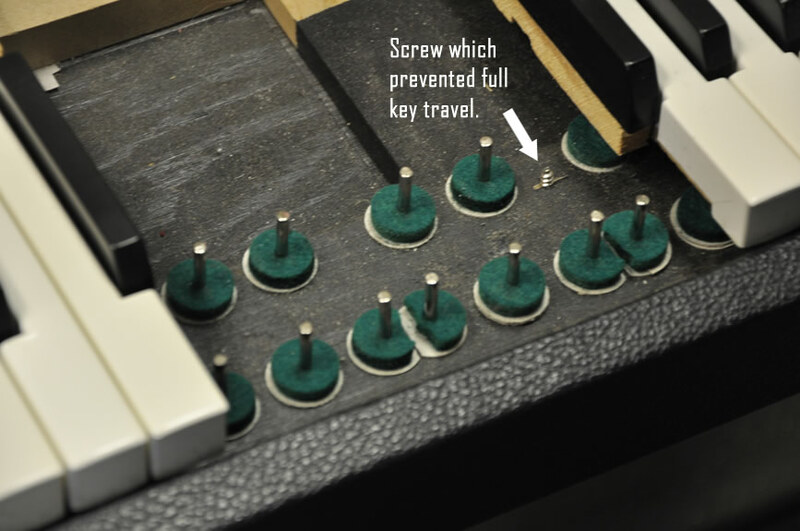 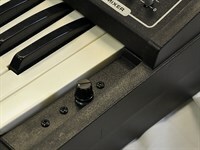 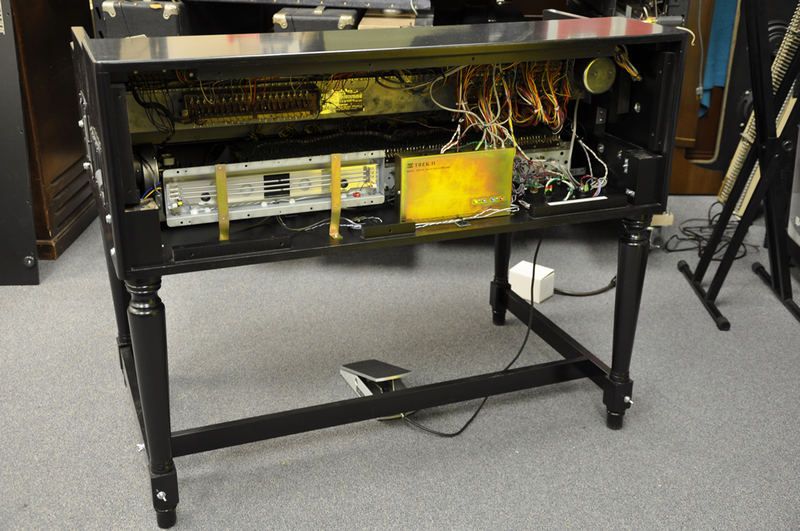 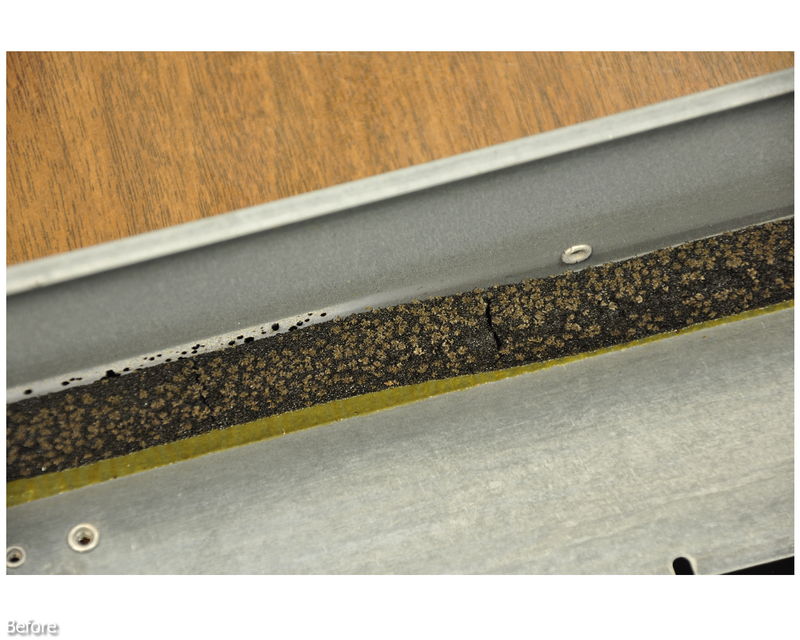 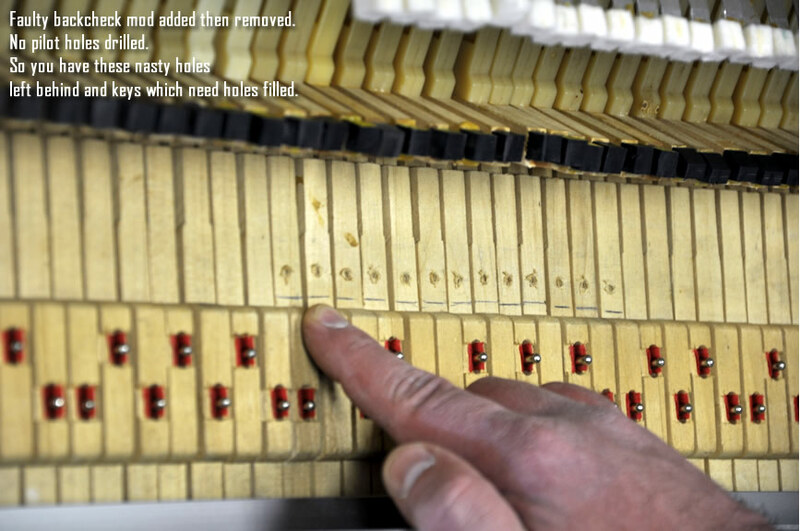 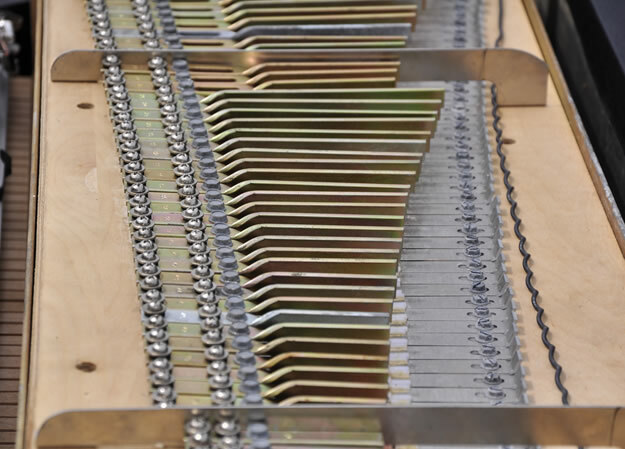 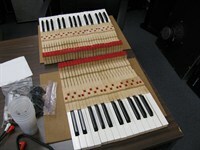 Here's some photo's showing how we restore Rhodes pianos. 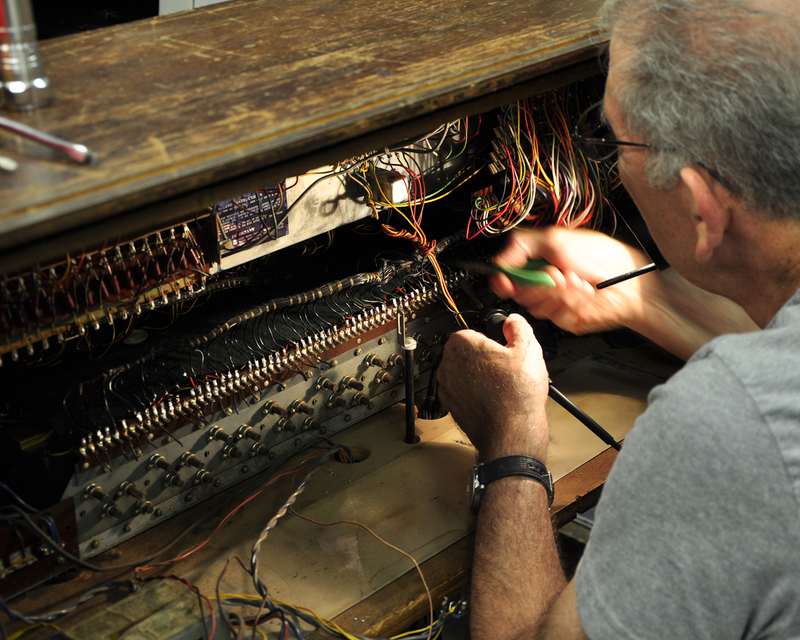 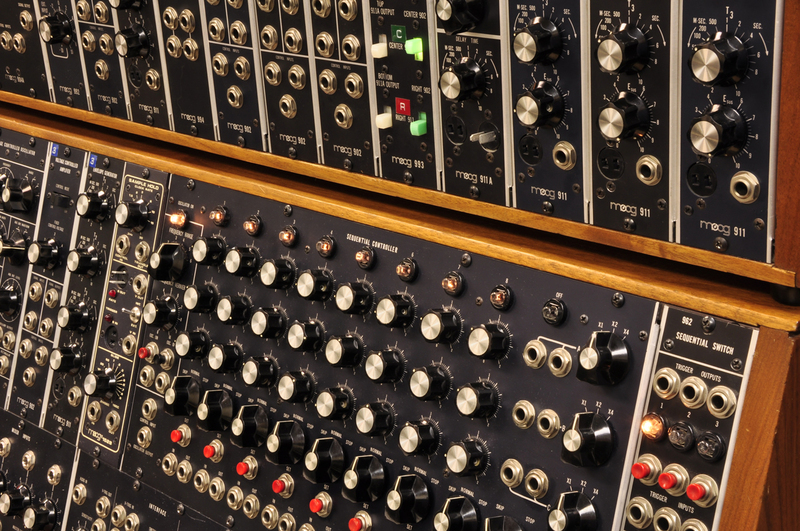 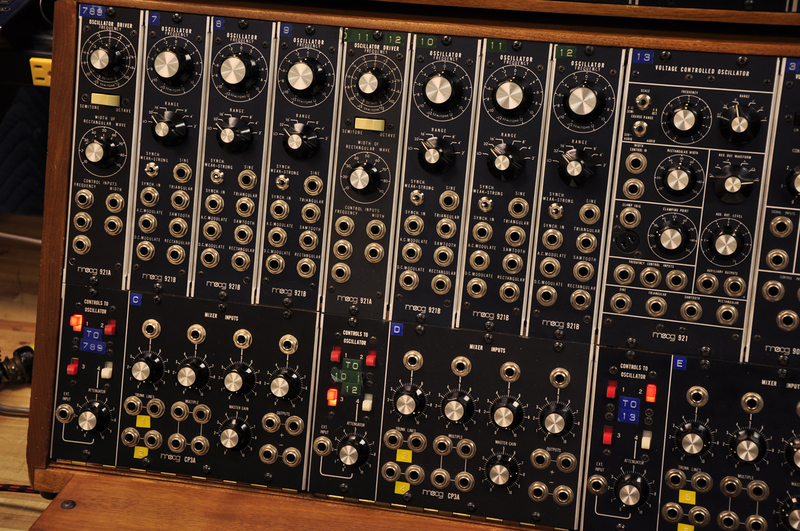 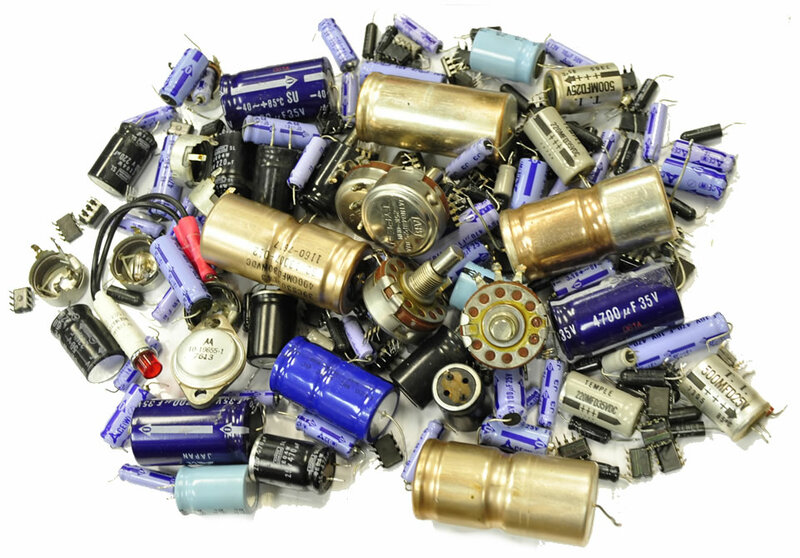 The process is quite envolved from dis-assembly, to cleaning, new parts, electronic restorations, installation of new parts, hardware where necessary. 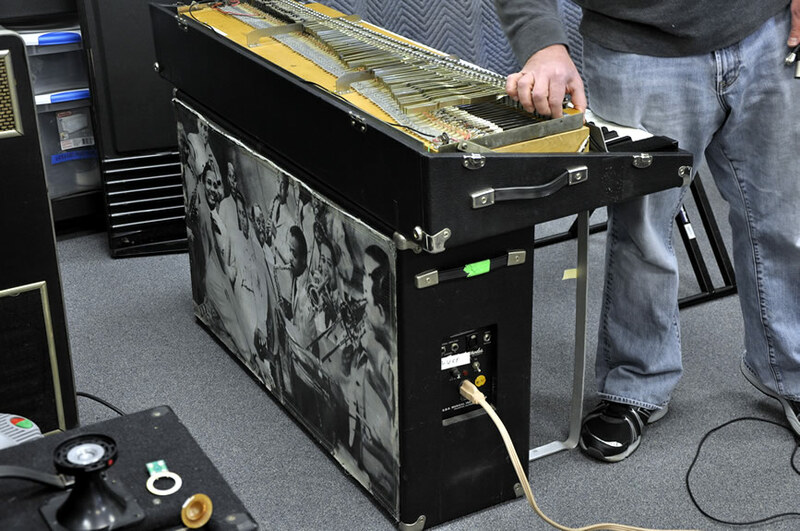 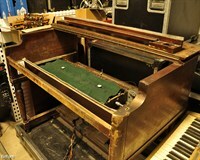 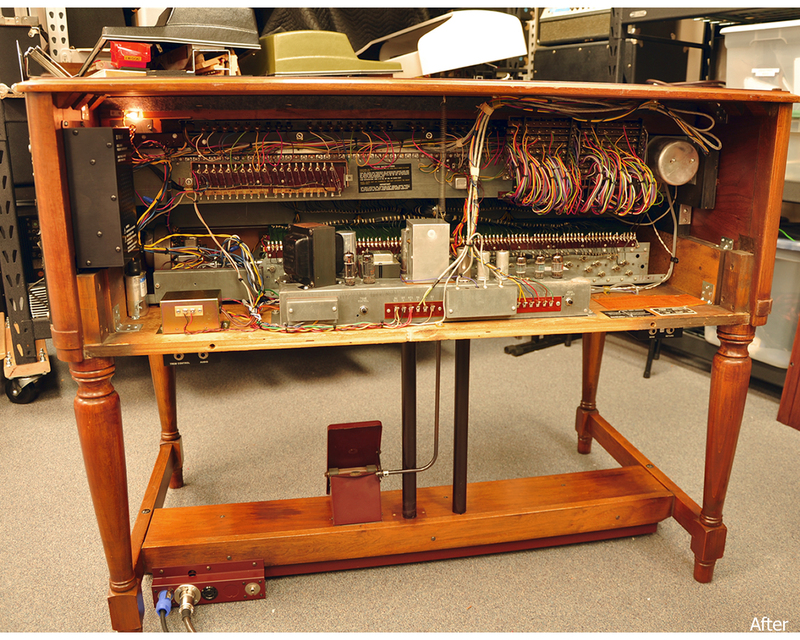 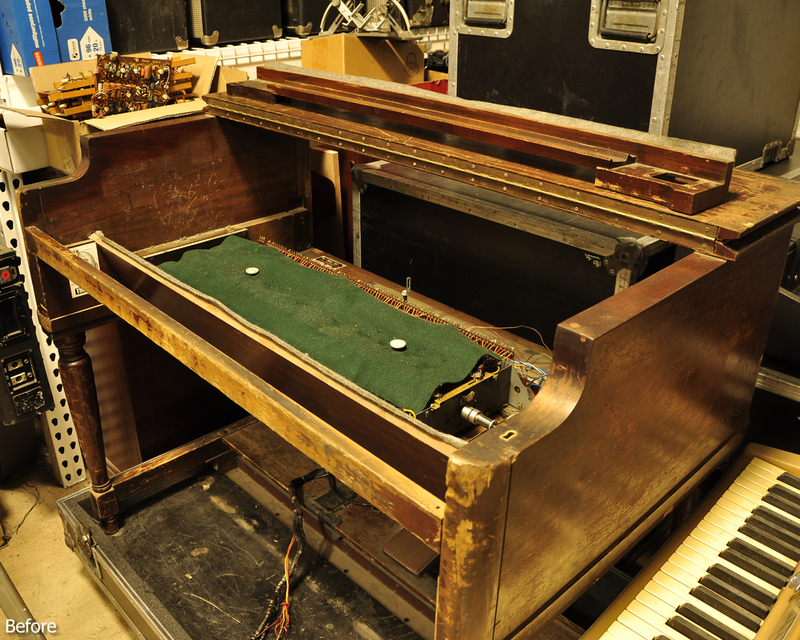 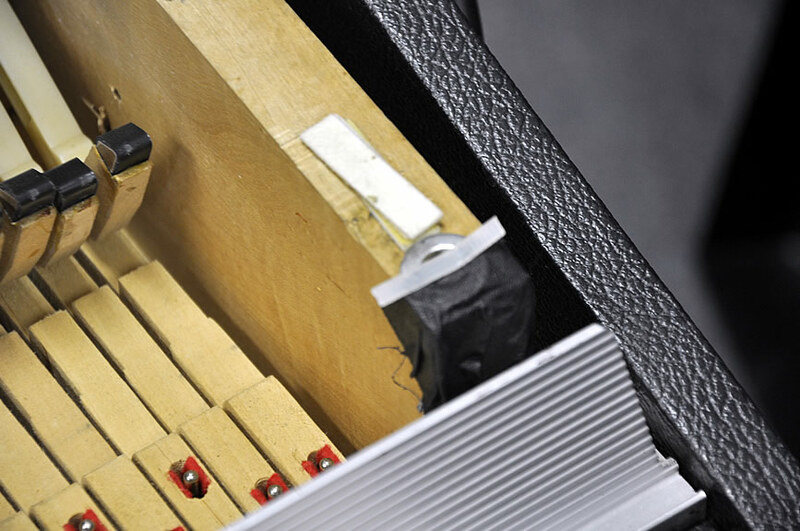 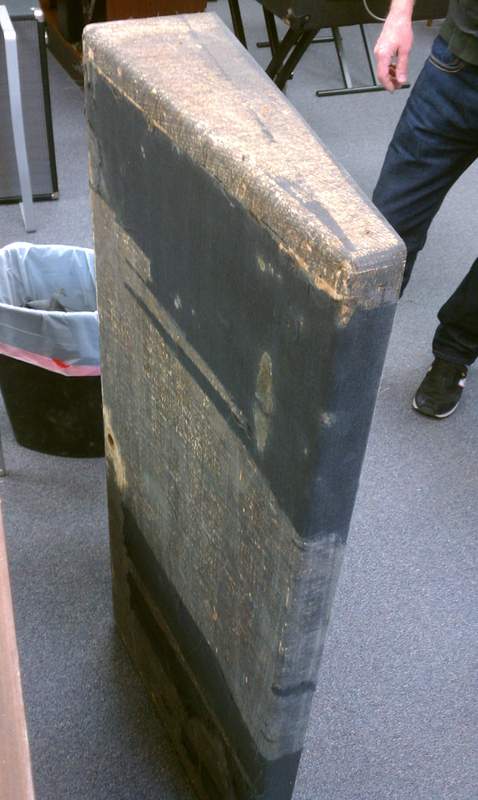 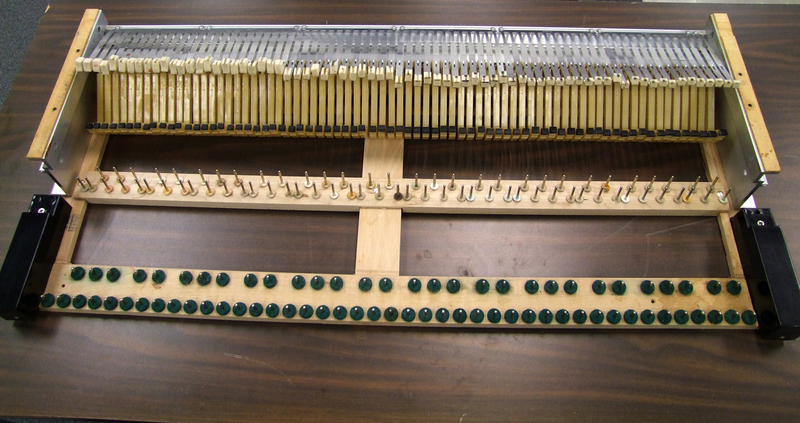 Donald Fagen's 88 key suitcase piano named "Lucy" prior to restoration. 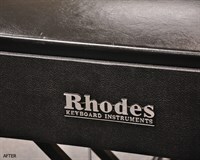 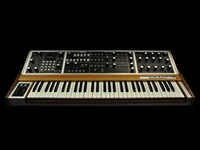 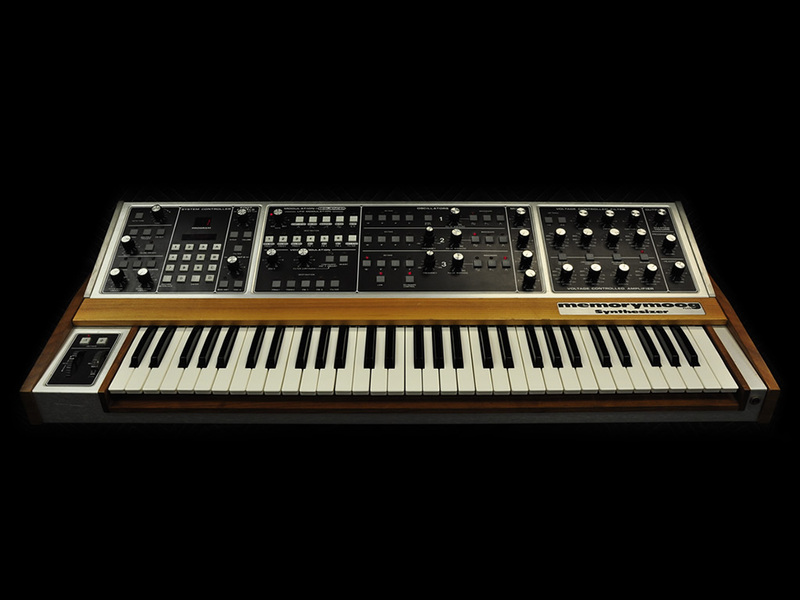 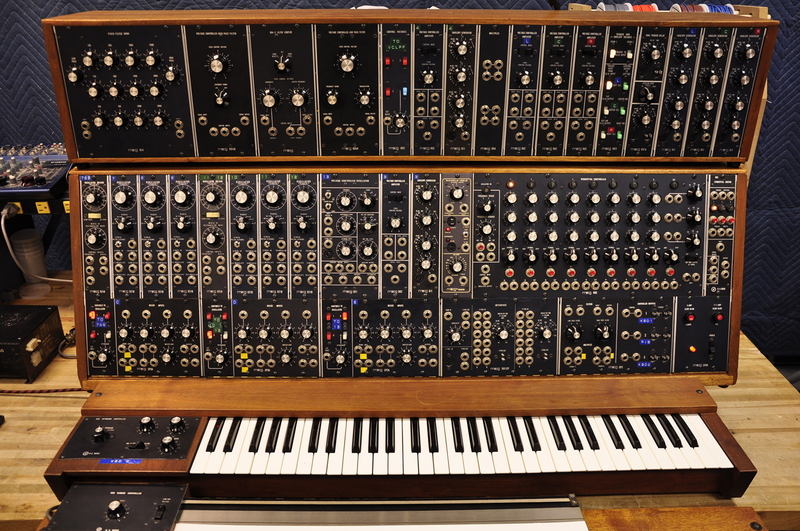 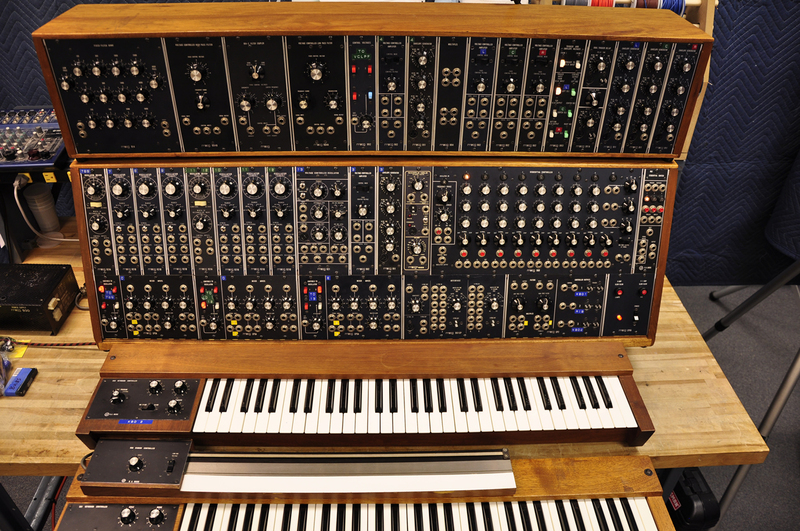 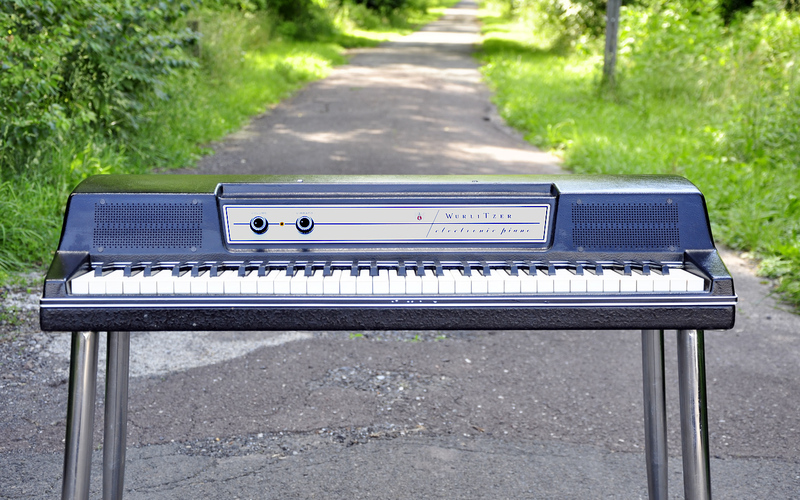 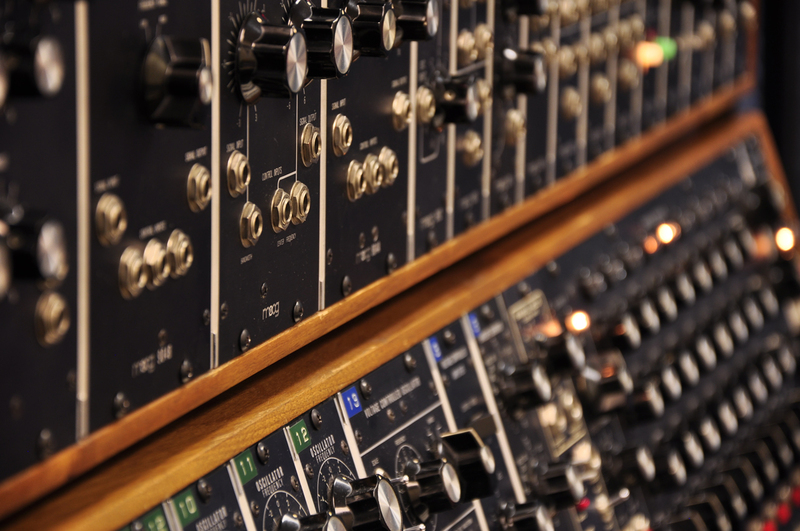 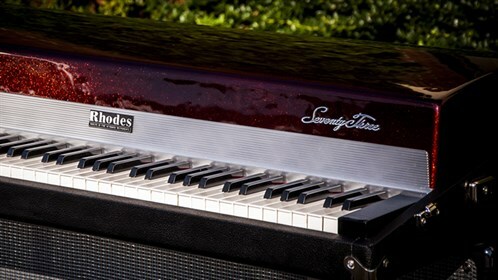 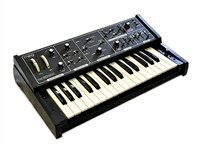 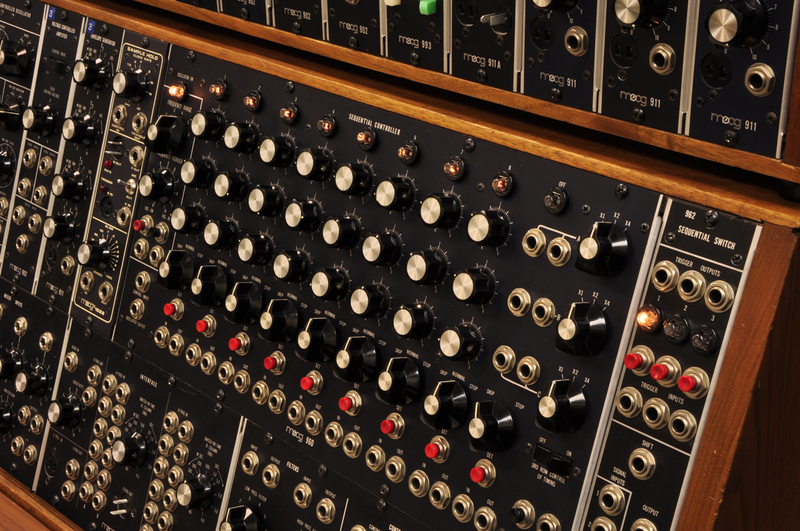 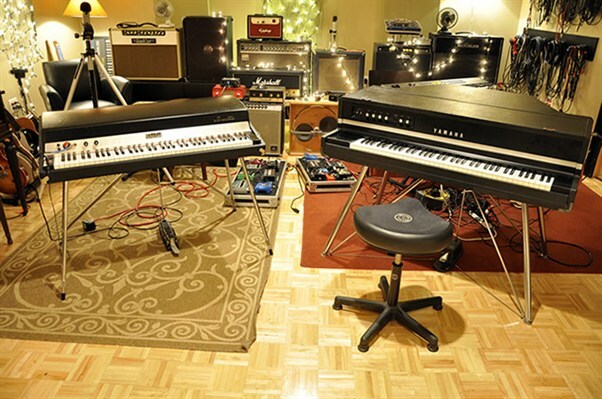 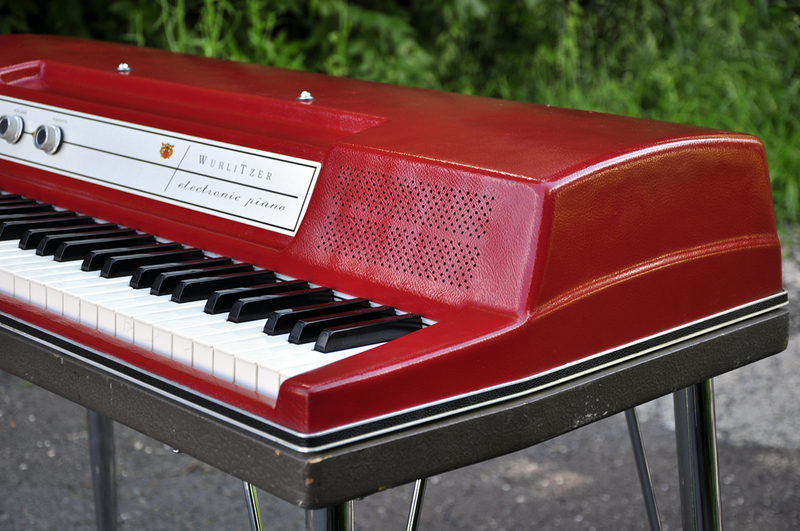 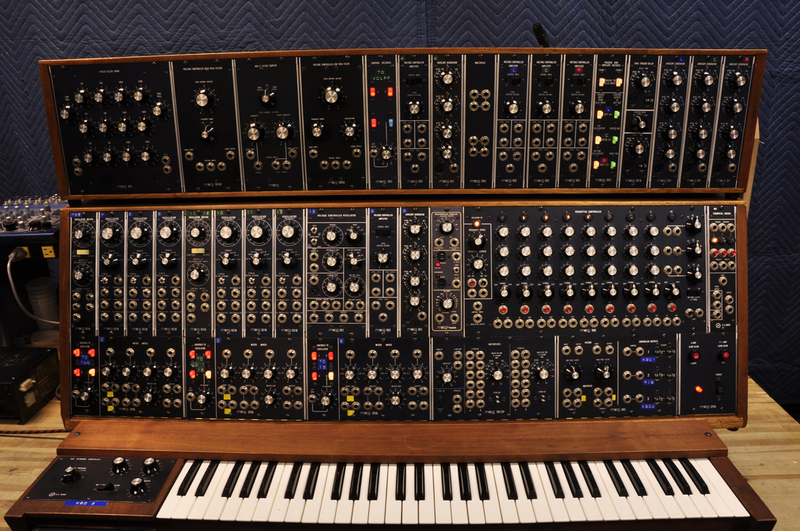 1980 Rhodes 54 Stage Piano. 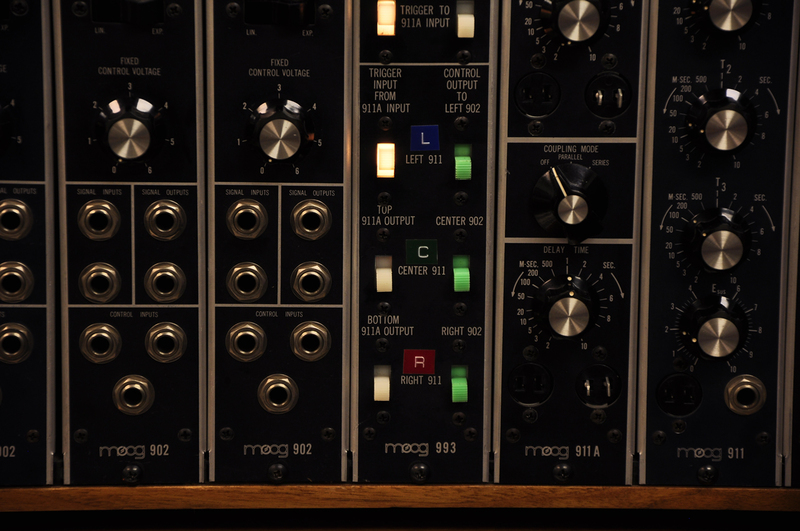 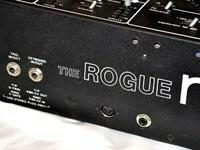 Customized for Dj Jazzy Jeff. 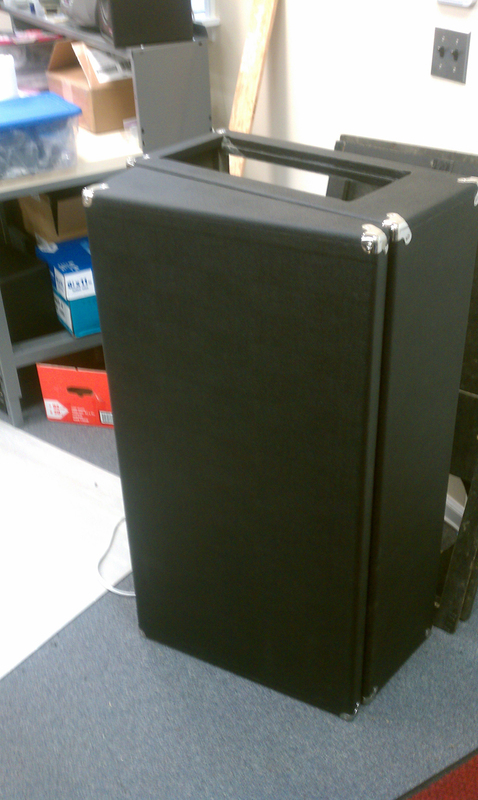 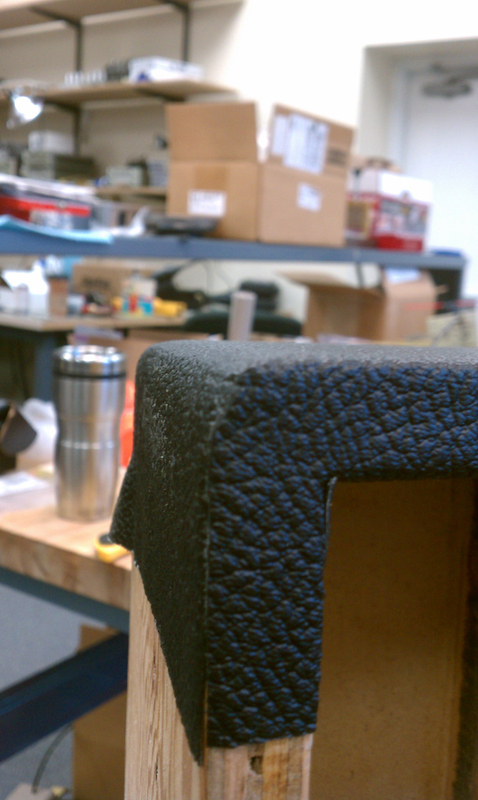 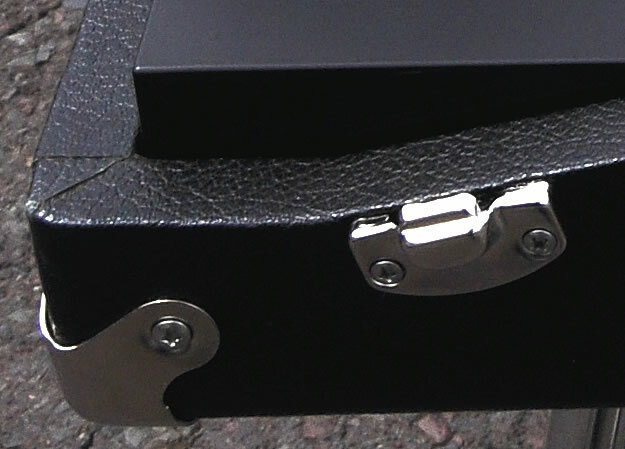 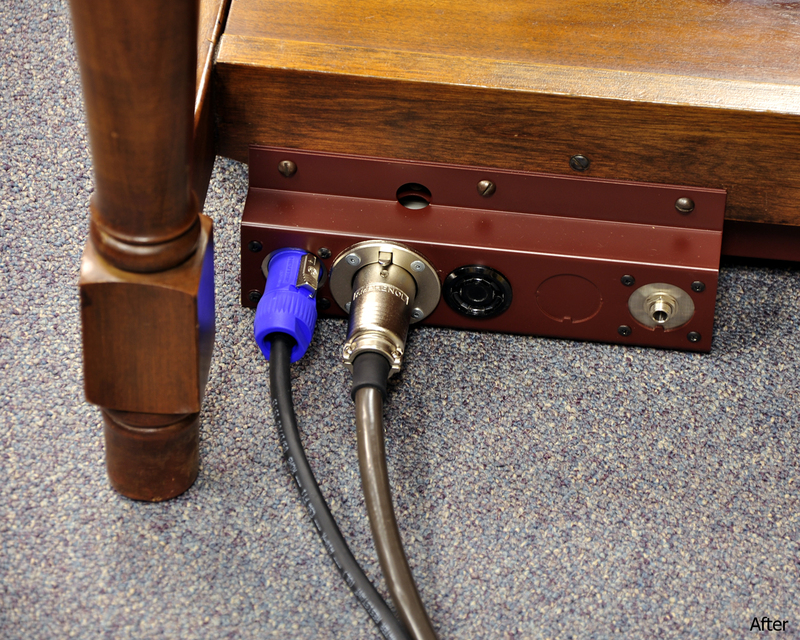 Industry first Carbon fiber top and end blocks, two tone black/silver tolex, blacked out hardware, legs, corners! Fully restored for Page McConnell of Phish. 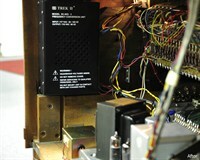 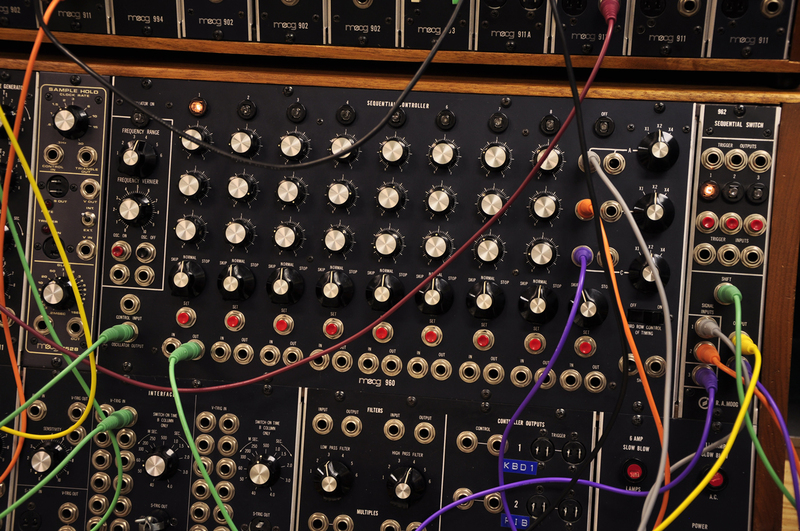 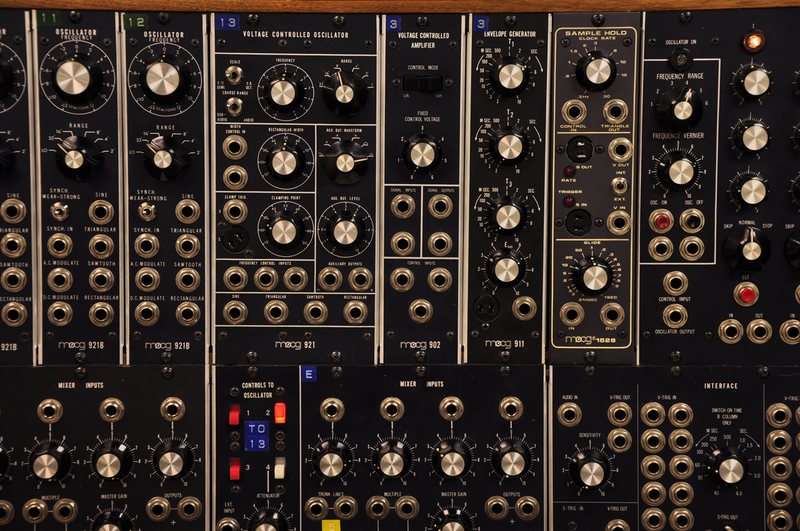 Complete action and electronic overhaul. 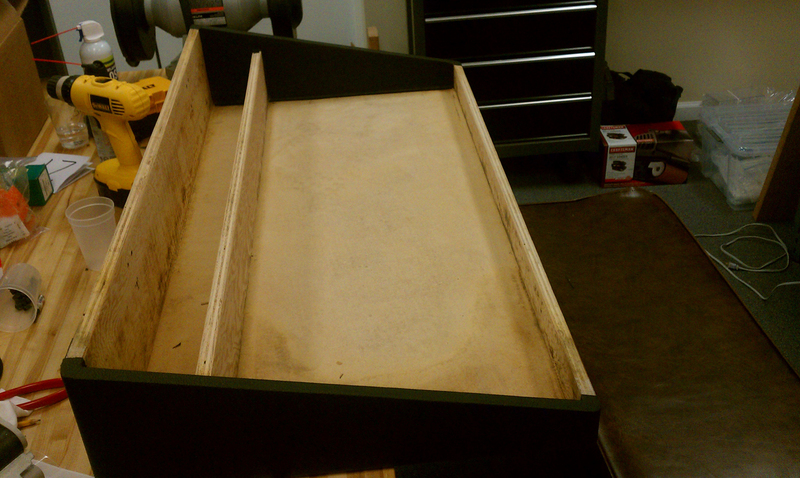 Brand NEW cabinetry, Tolex, grill cloth, hardware, powder coated folding legs. 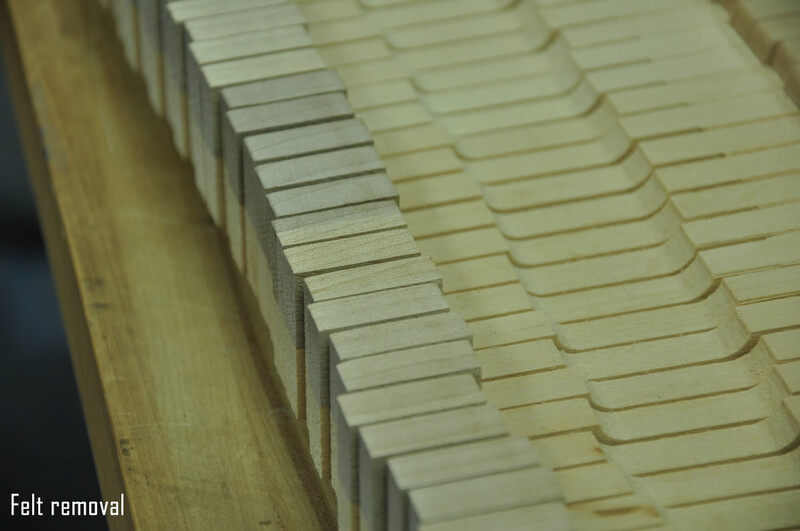 Cabinets are constructed using 10 ply void-less birch plywood which is slightly heavier than the standard factory pine cabinets but much more durable. 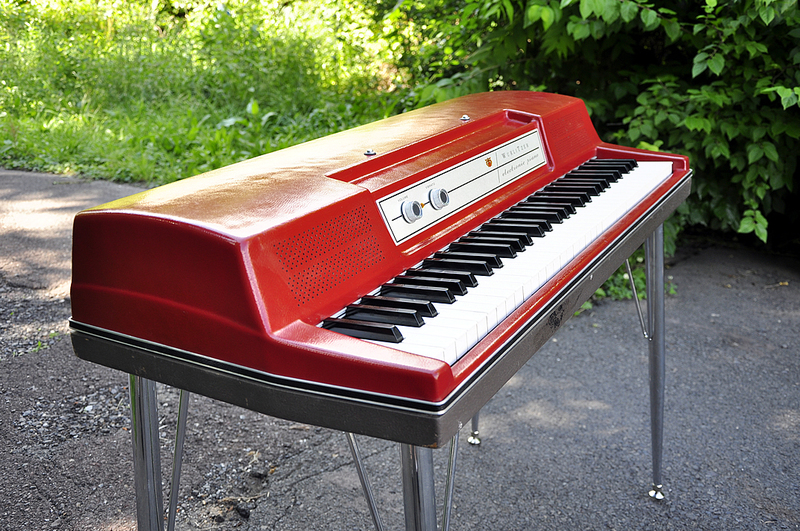 Fully restored for DJ Jazzy Jeff. 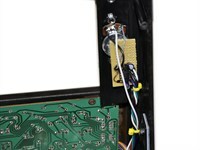 Complete action and electronic overhaul. 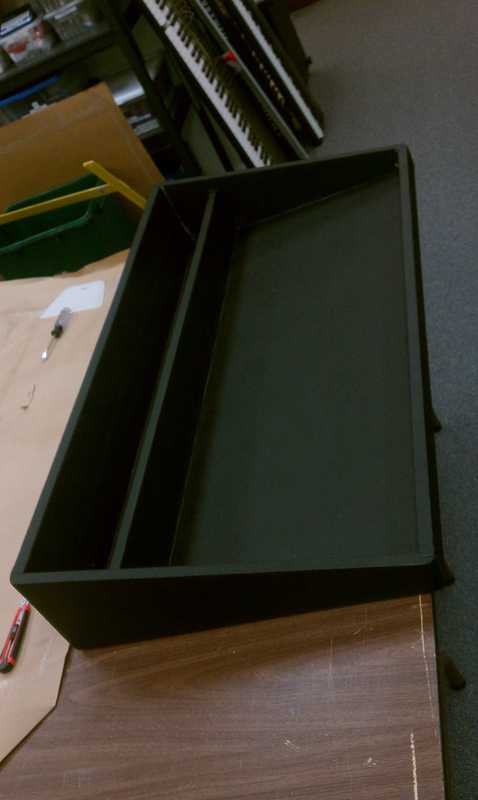 Brand NEW cabinetry, Tolex, grill cloth, hardware, powder coated folding legs. 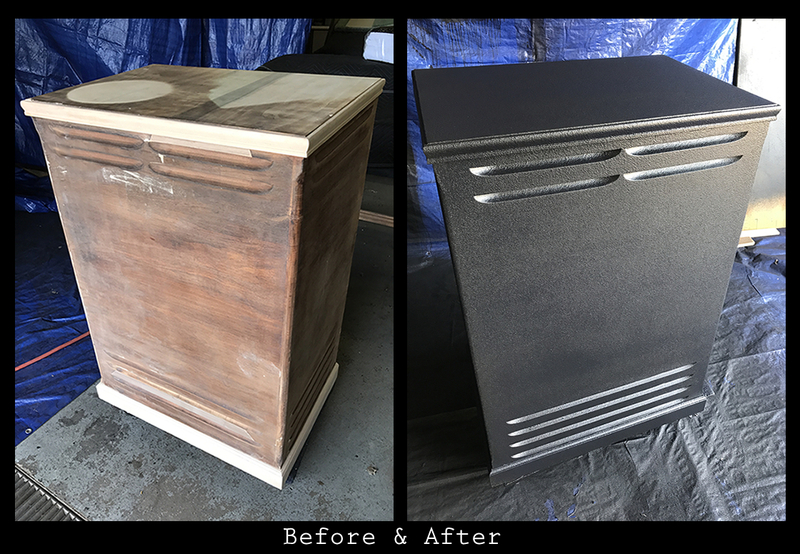 Cabinets are constructed using 10 ply void-less birch plywood which is slightly heavier than the standard factory pine cabinets but much more durable. 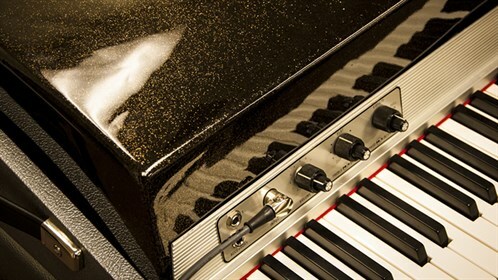 Custom painted Root Beer Mist sparkle top with holographic clear coating! 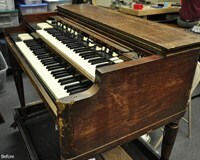 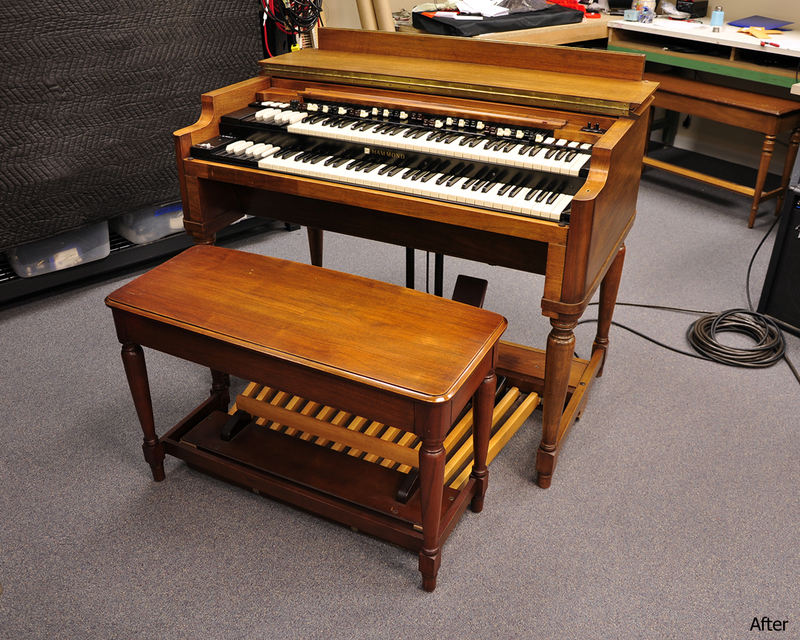 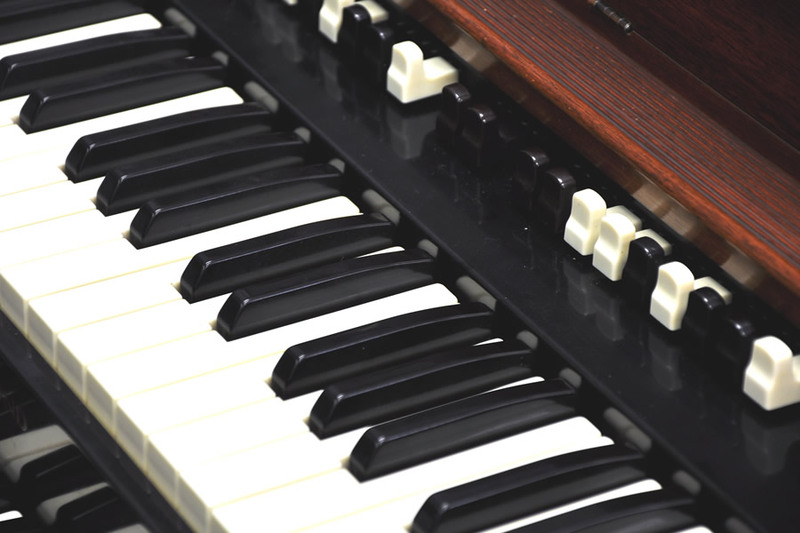 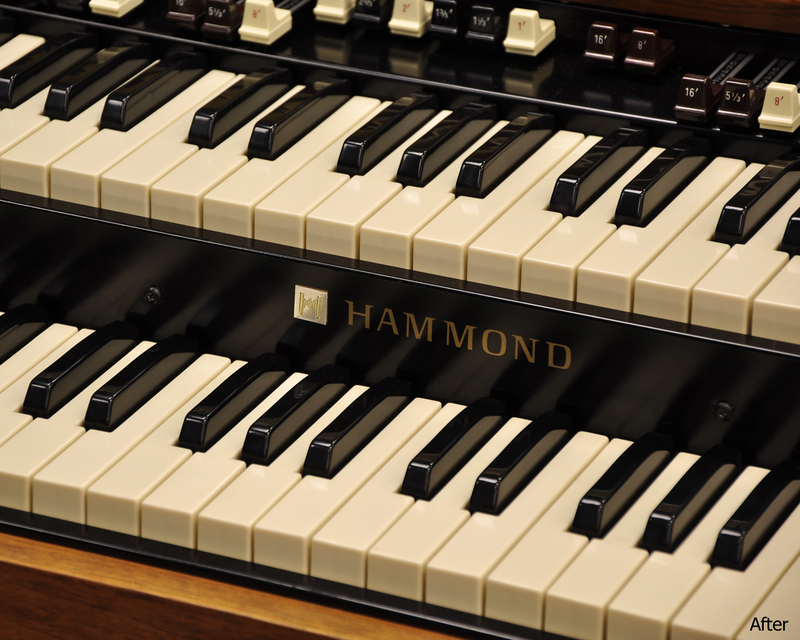 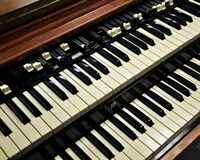 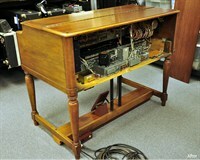 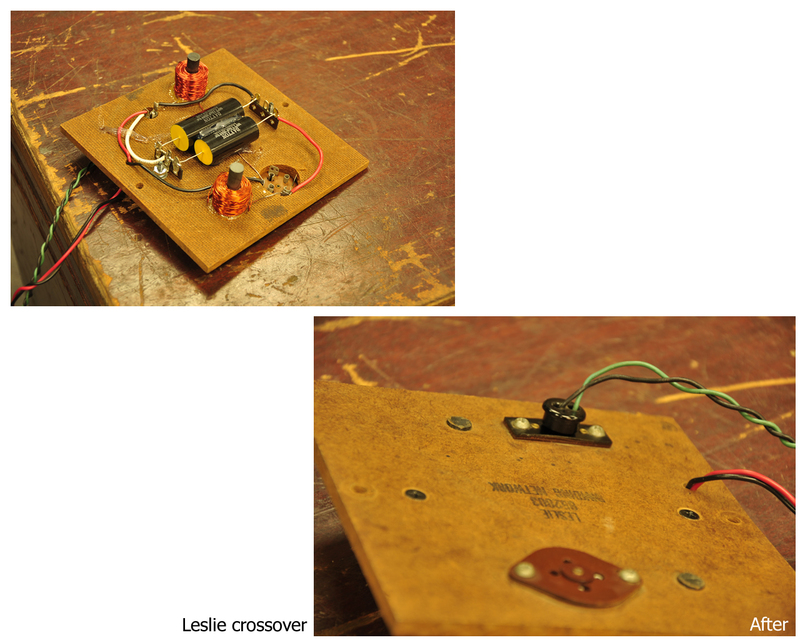 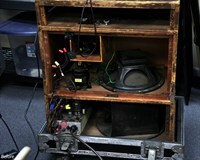 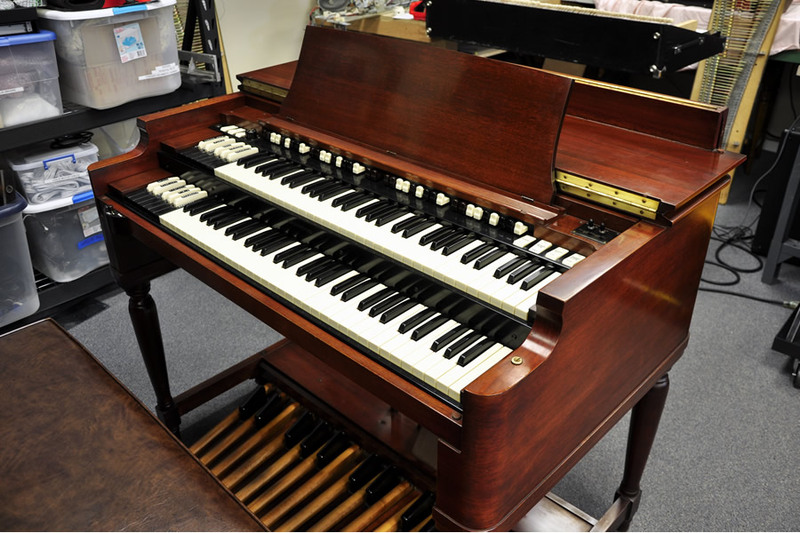 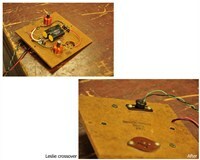 DSO Hammond B3 & Leslie 145 restoration. 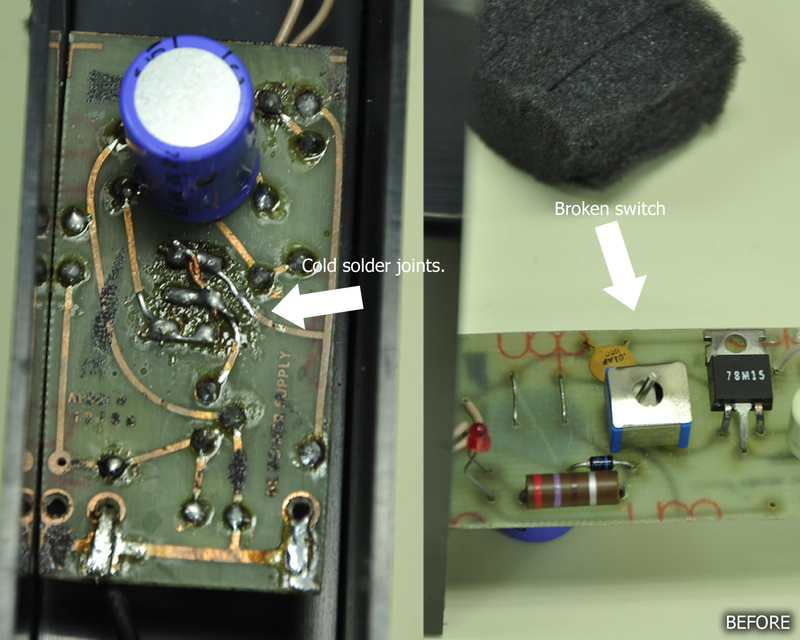 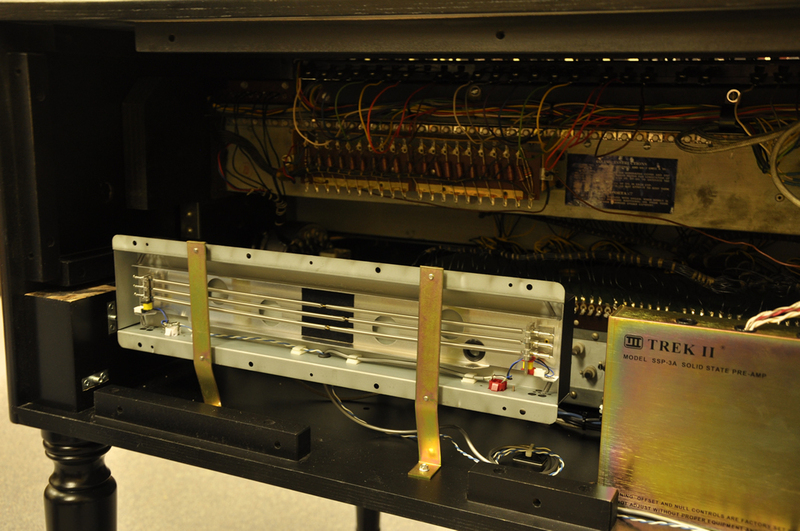 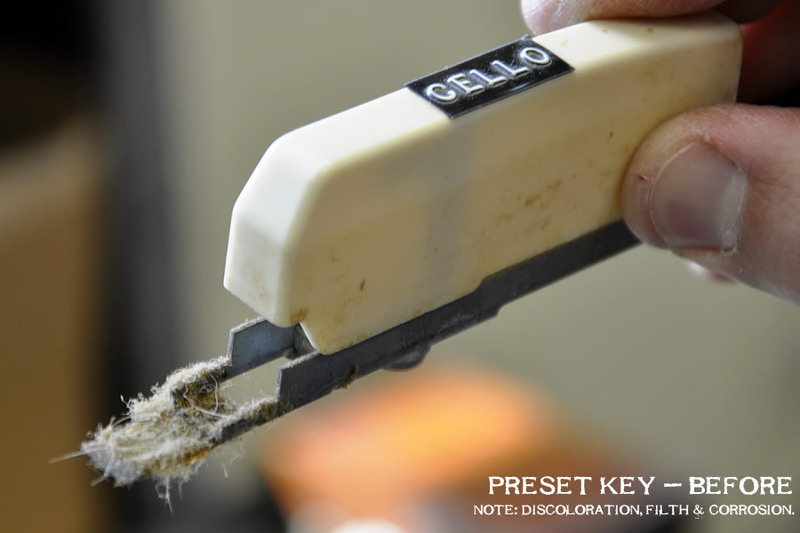 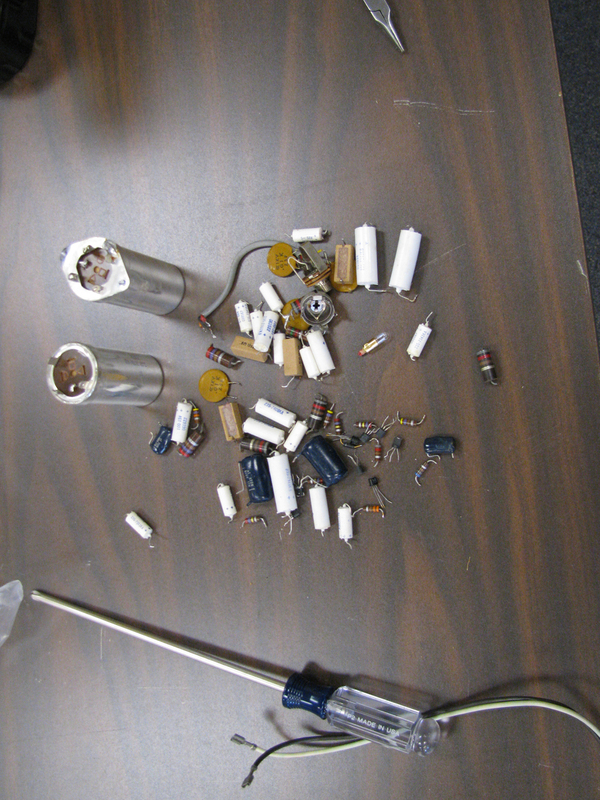 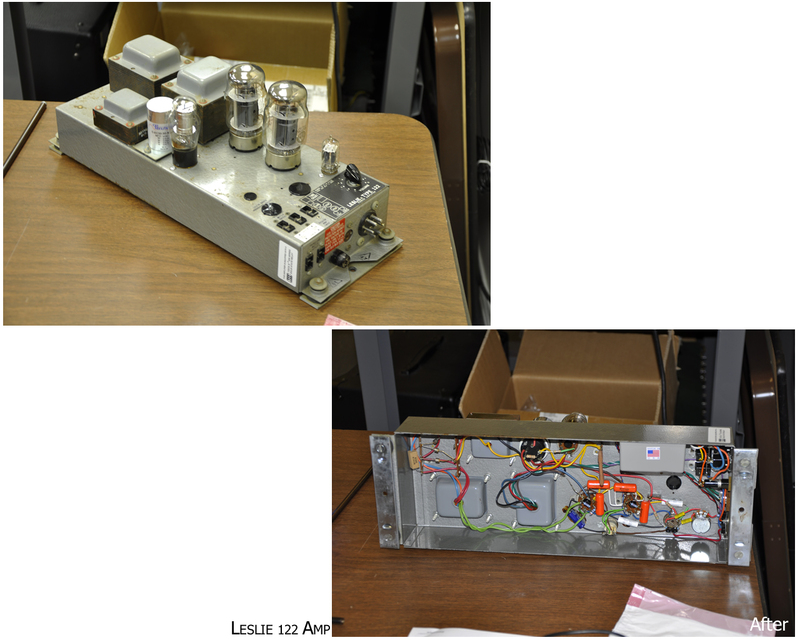 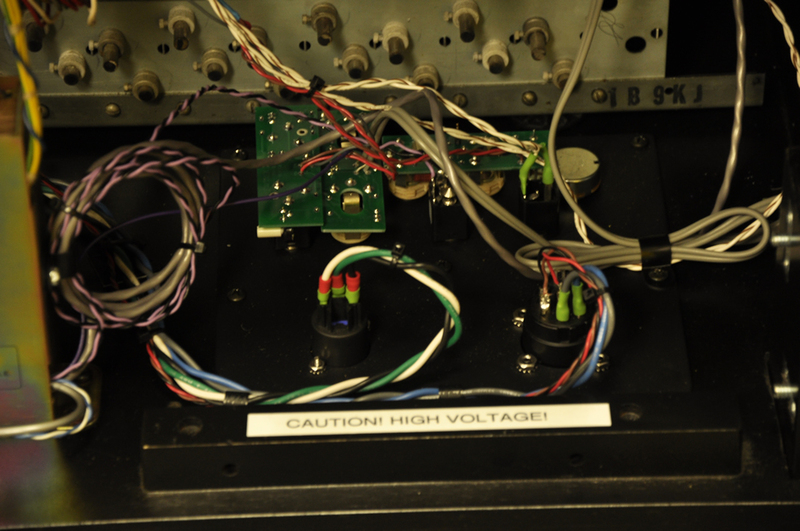 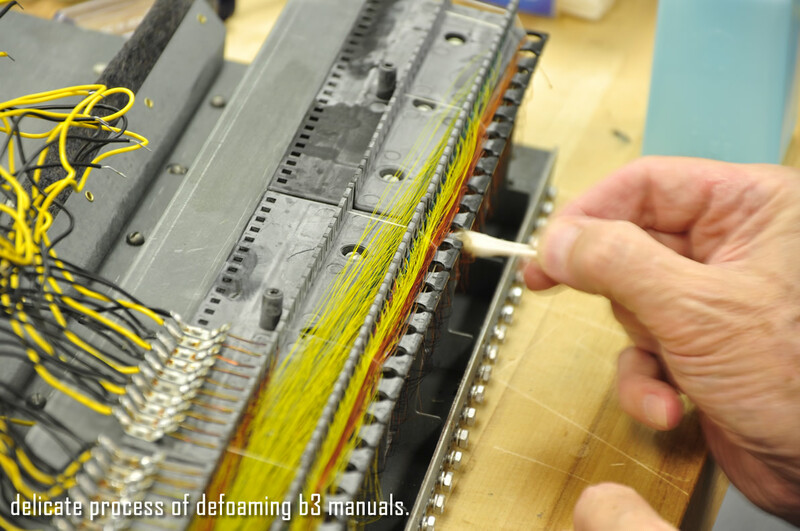 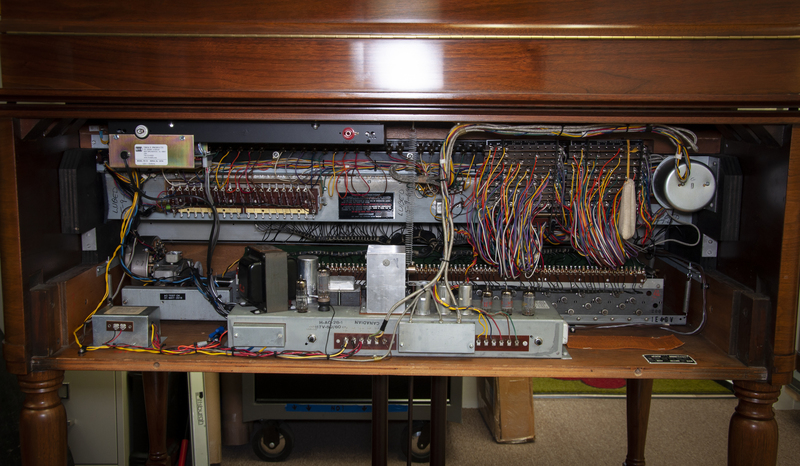 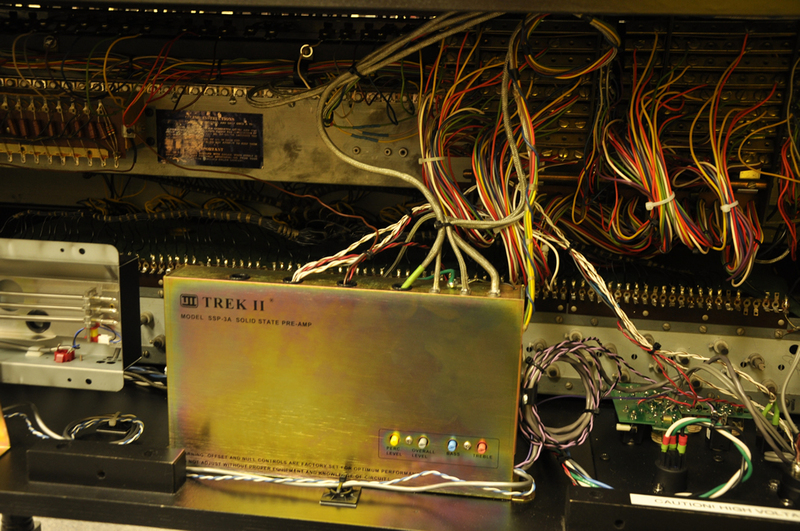 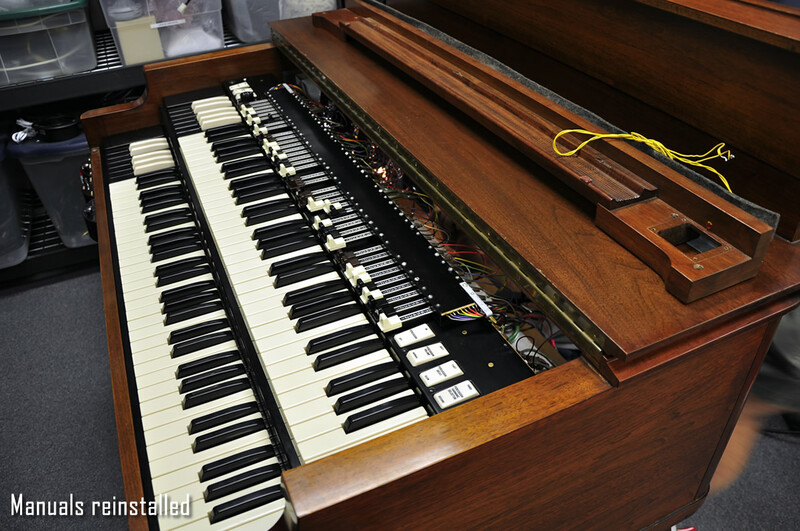 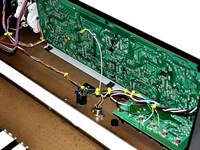 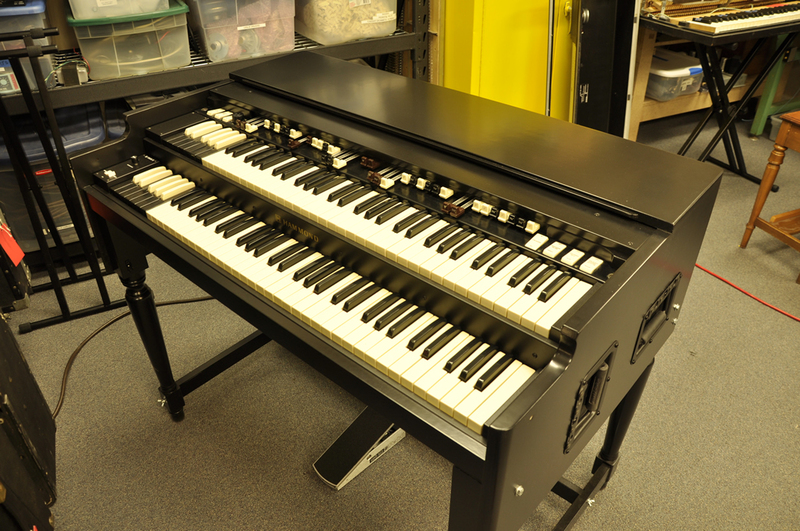 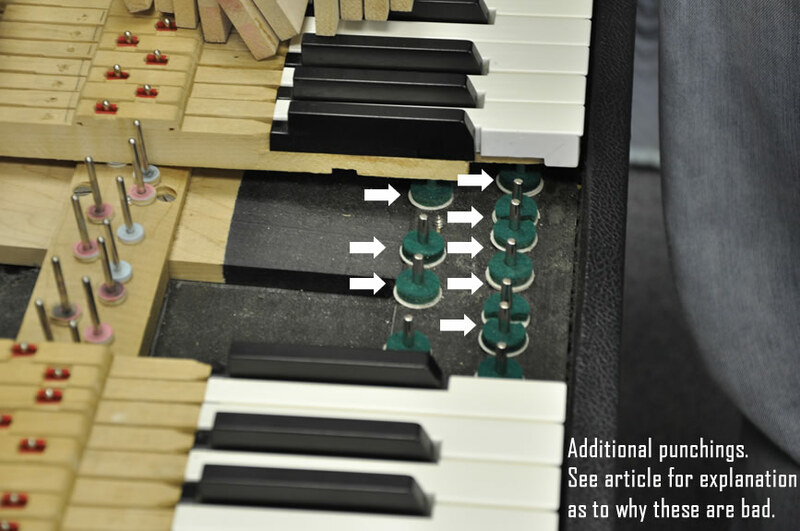 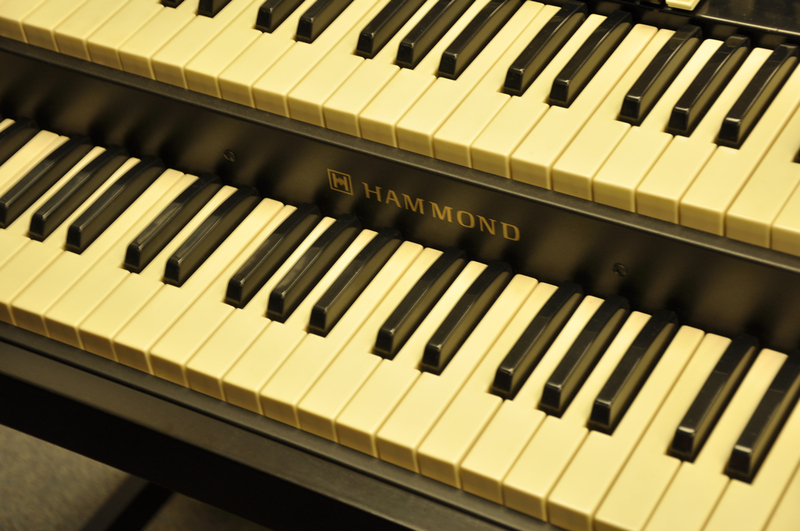 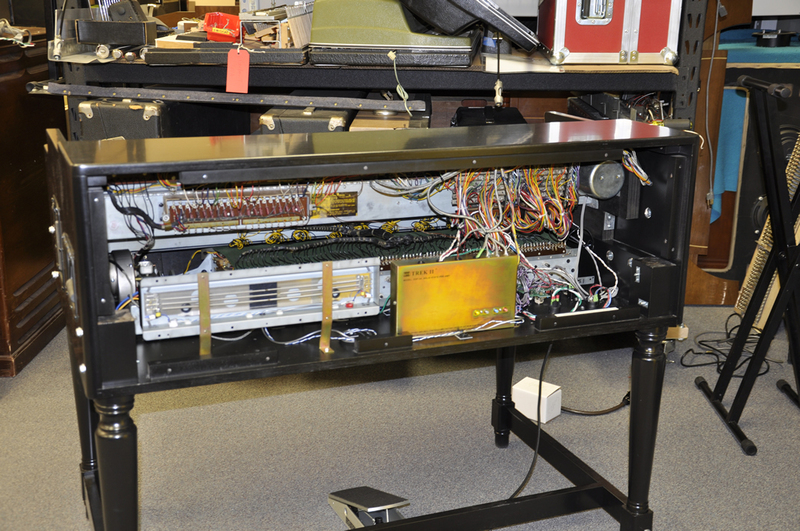 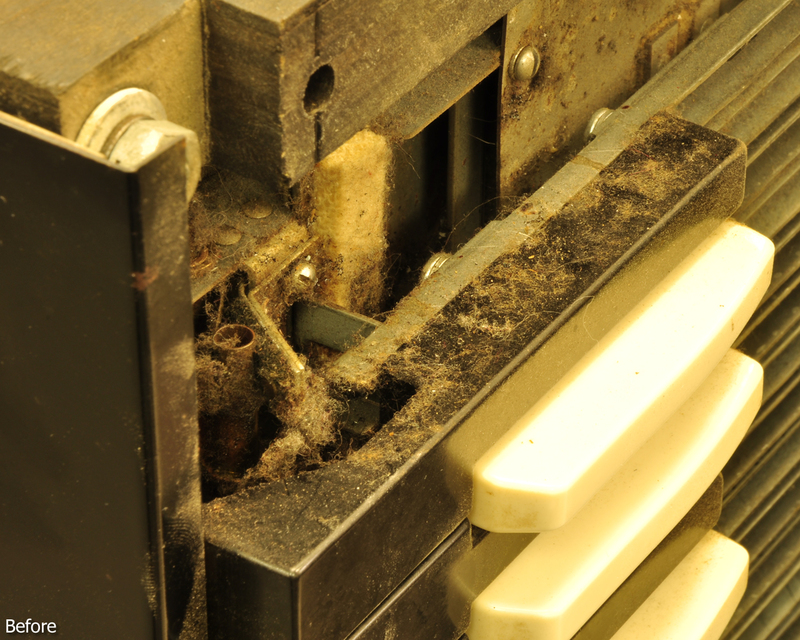 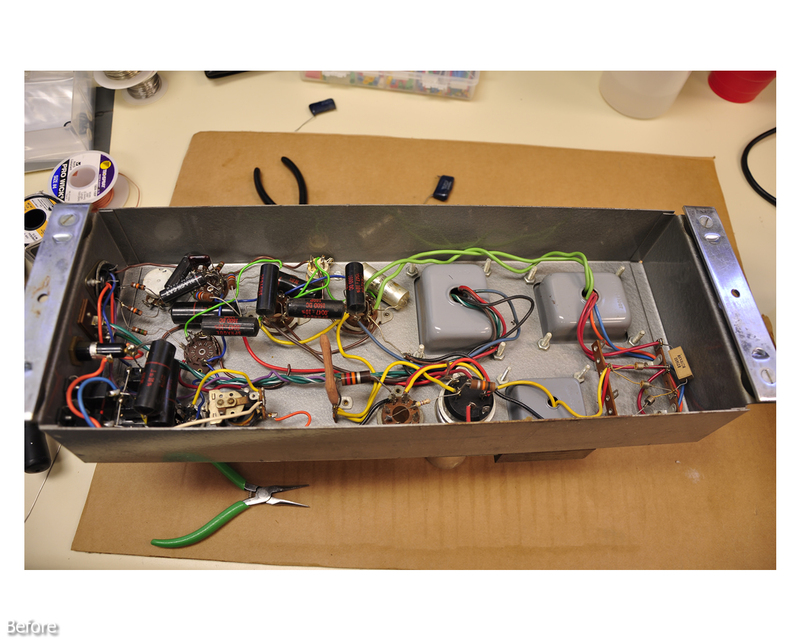 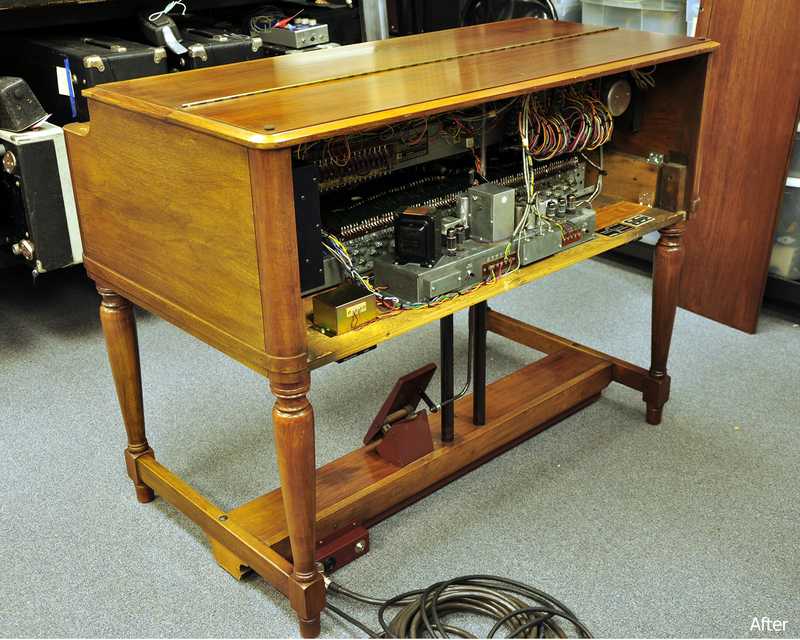 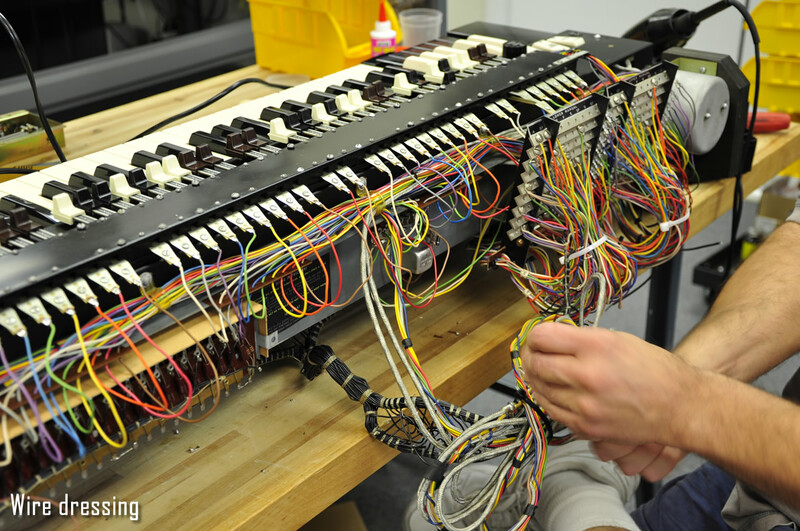 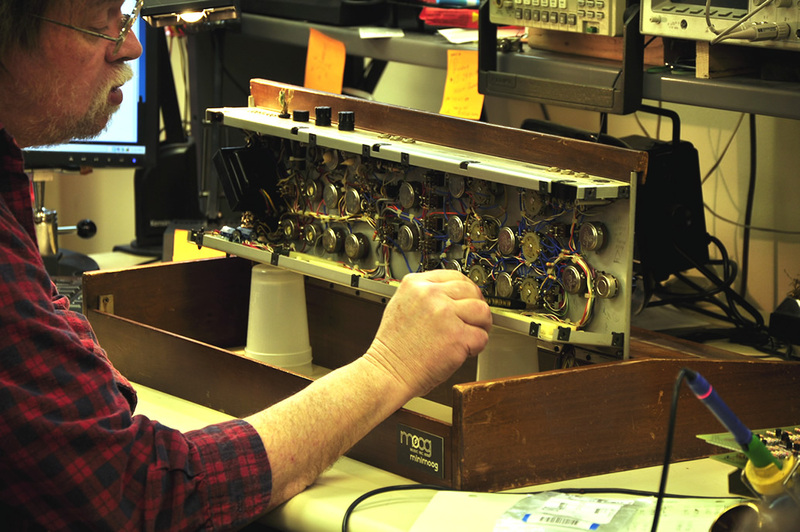 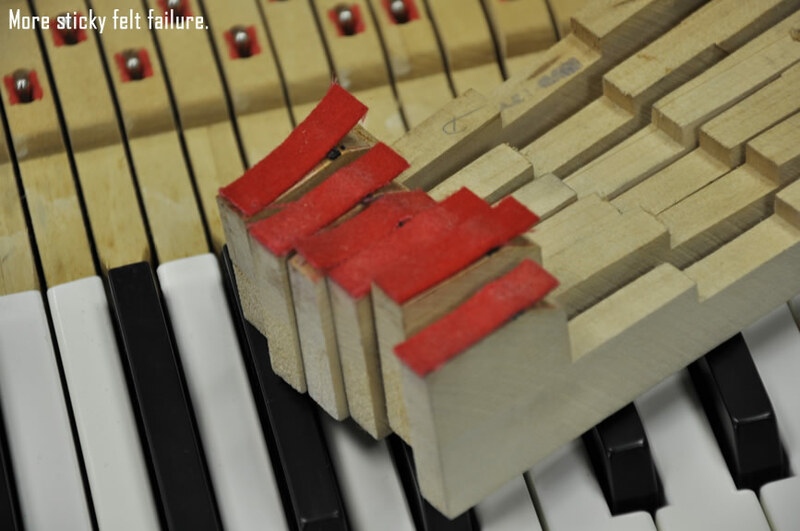 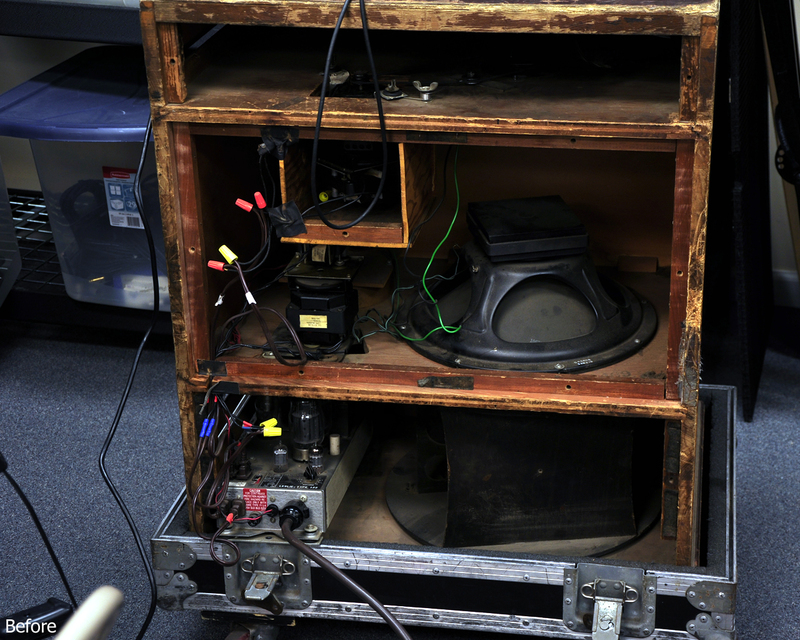 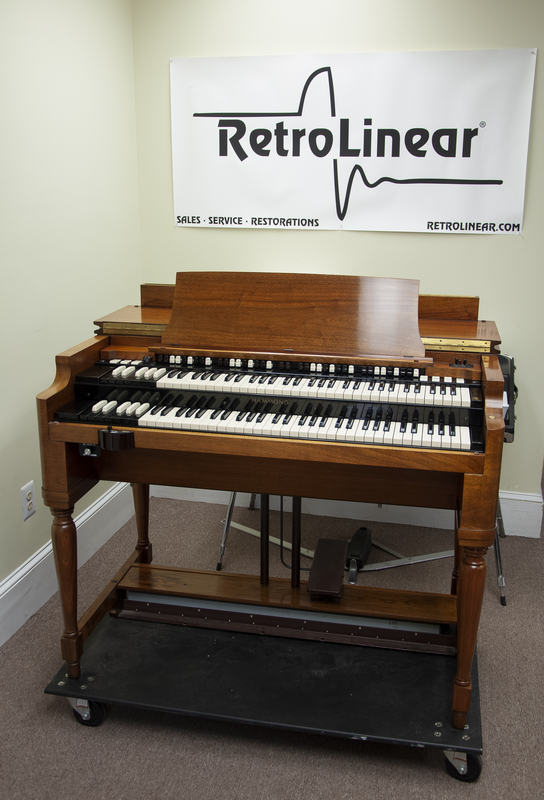 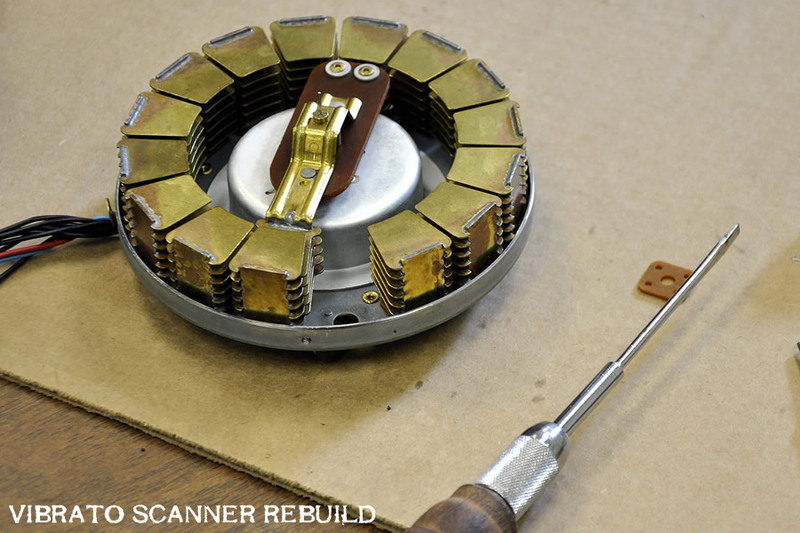 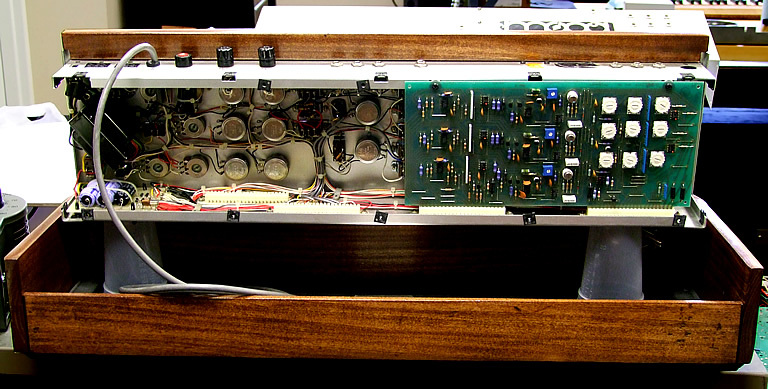 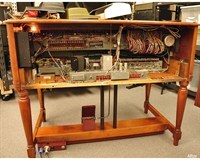 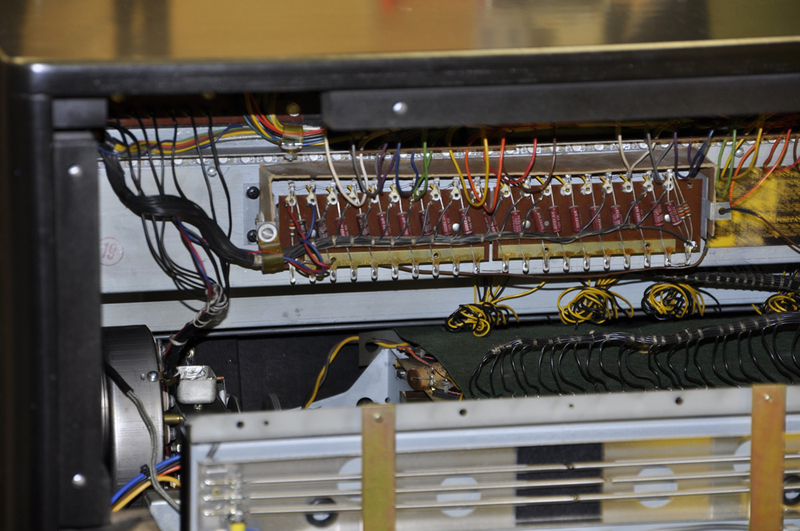 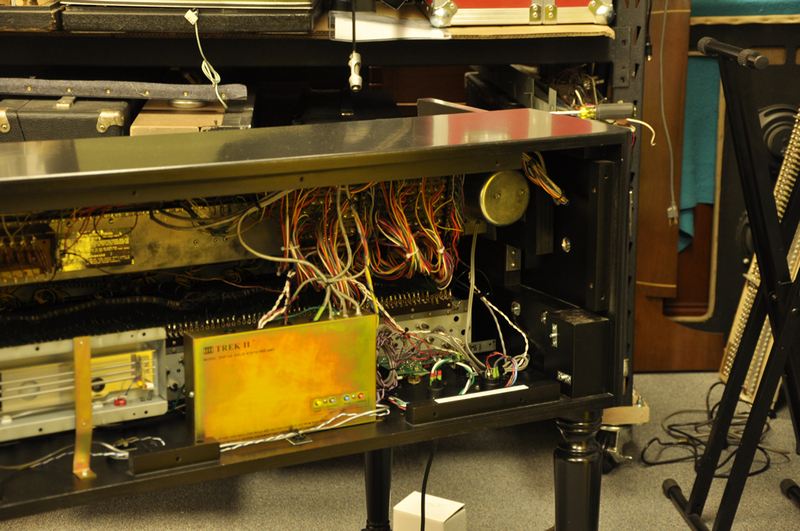 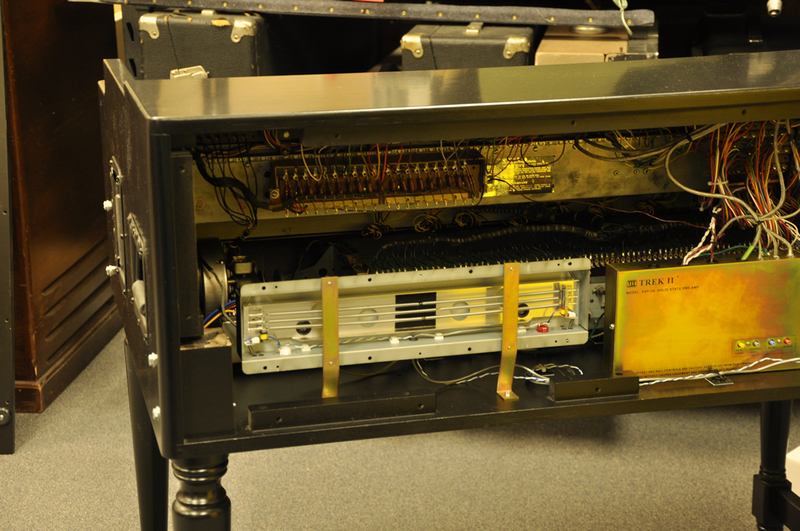 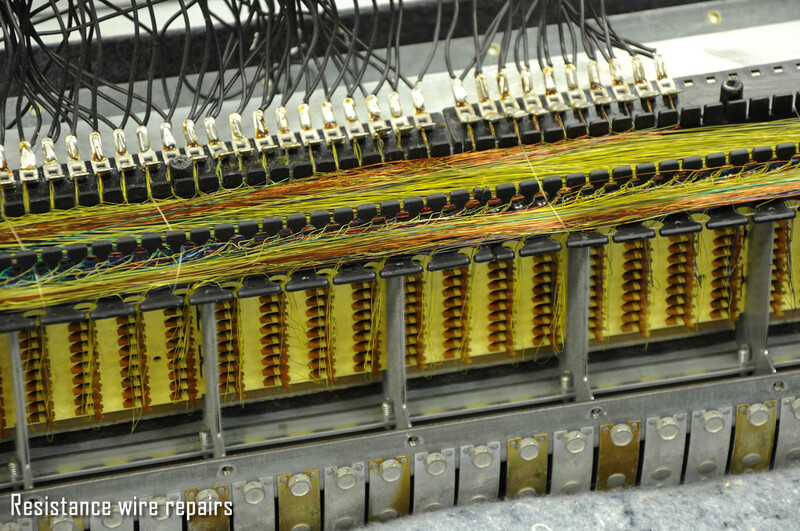 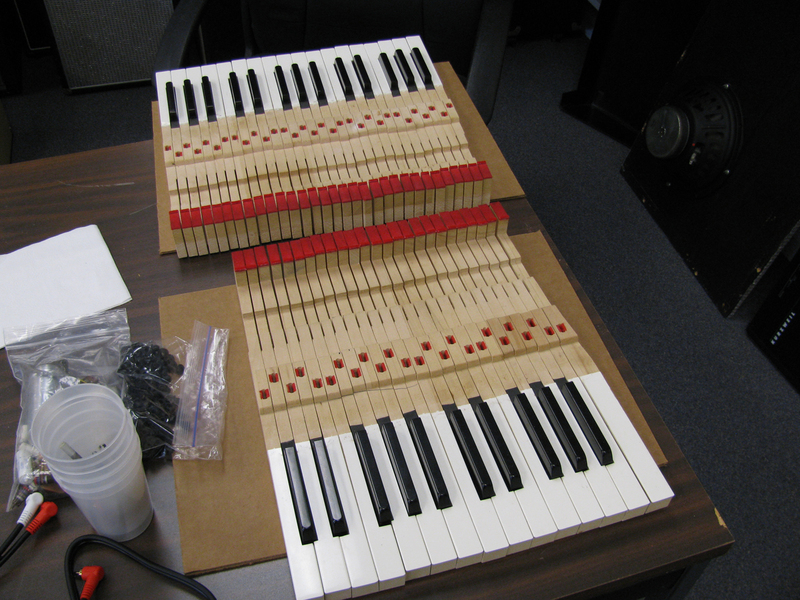 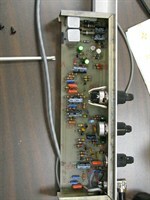 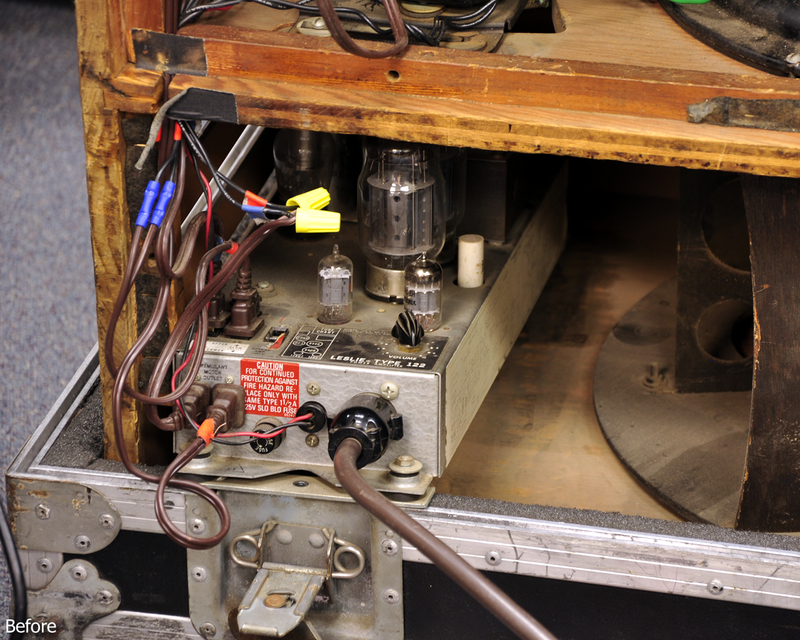 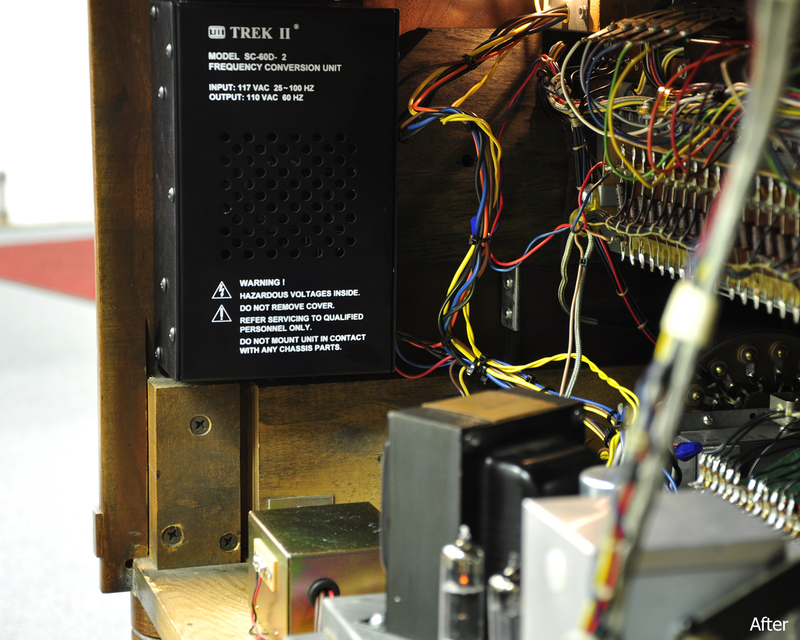 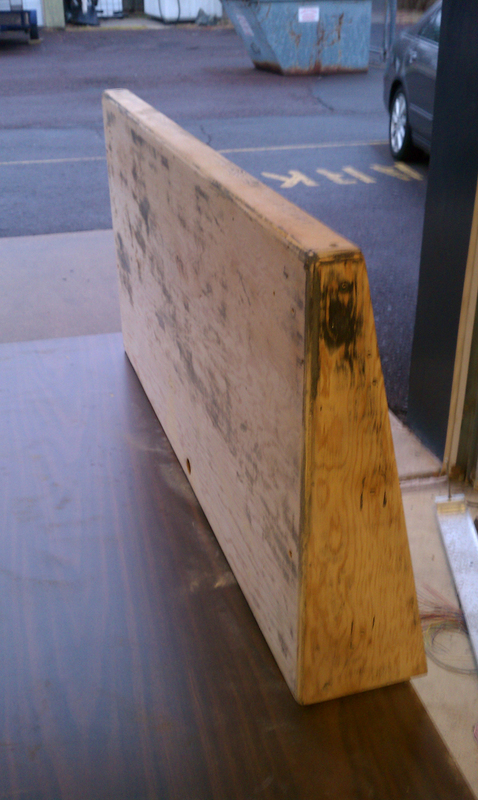 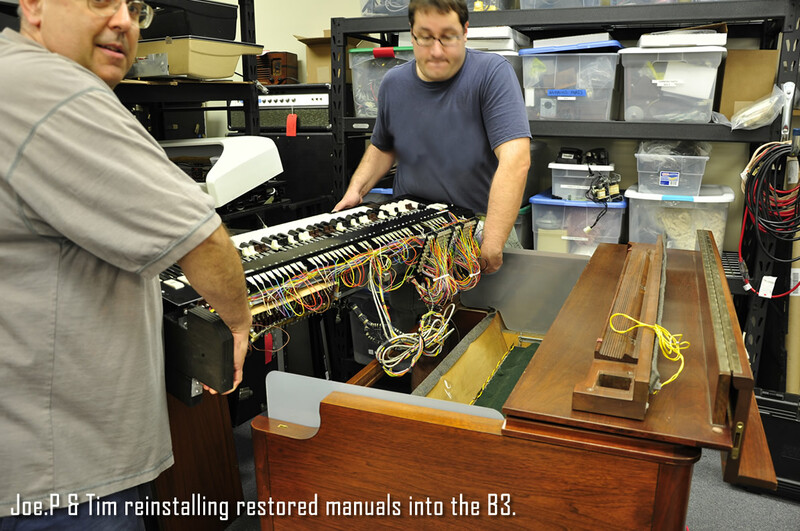 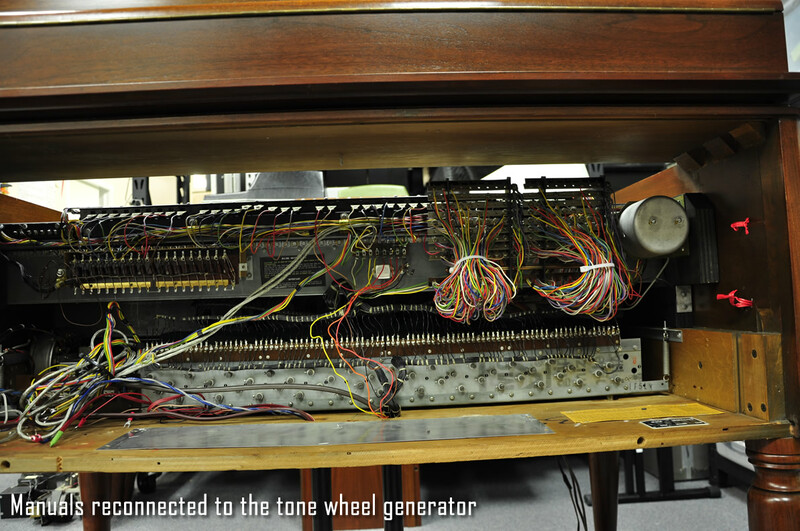 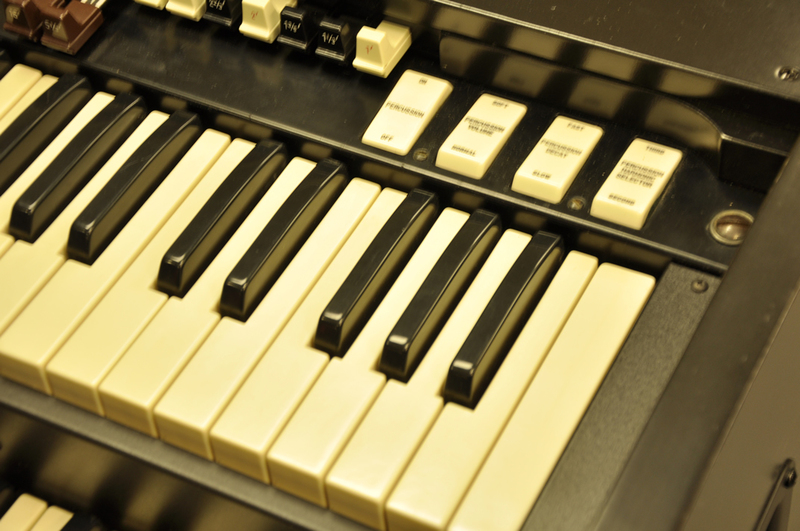 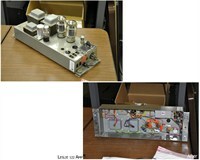 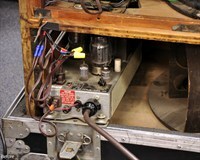 Some assorted photos showing the many processes required to restore a Hammond organ.